Before you start Registering for and installing Second Life Your first steps inworld Basic skills Finding cool stuff to see and do Doing more Moving on In other languages: Deutsch Español Français Italiano Português Türkçe Русский 日本語 Before you start Important: You must install a standalone program, the Second Life Viewer, to enjoy the rich 3D content in Second Life. The installation process is quick and easy, but your computer must meet the System Requirements. Second Life will not run on systems that fail to meet these requirements. Registering for and installing Second Life Follow this quick three-step process to register for and install Second Life. 1. Choose your starting avatar and provide your account information Your avatar is how you will appear in Second Life. You can choose from a wide selection of avatars, and if you change your mind later, don't worry—you can select a different avatar any time you want! Once you learn Second Life, you can also customize your avatar to your heart's delight, or pick from a vast selection on the Second Life Marketplace. Your username is the account name that you use to log in to Second Life. It has to be unique, so you may not get to choose a simple or common name. Later, you can also choose a display name that everyone sees in addition to your username. For more information, see Usernames and Display names. Warning: Choose your username carefully! Once chosen, you can't change it. Although you can designate a "display name," your username will still be visible, and others may use it to refer to you. Fill in your remaining account details including your email address, date of birth, and password. Make sure to use a memorable security question in case you forget your password! Note: When you create your account, you will receive a message in your email asking you to verify your email address. Verify your address in order to receive offline messages from other Second Life Residents. 2. Choose your membership level Choose a free basic account, or sign up for a premium account for as little as $6 per month. With a premium account, you get your own private Linden Home (if you're at least 18 years old), virtual currency rewards, exclusive virtual goods, and many other benefits. For more information on premium accounts, see Premium membership in the Second Life Knowledge Base. If you choose a basic account now, you can always upgrade to premium membership later. 3. Download and install Second Life To enjoy the rich 3D content in Second Life, you must download and install the Second Life Viewer, an application that runs on Windows and Mac OS. Most web browsers will download the installer automatically; if that does not happen, just click Download & Install Second Life. You may need to run the installer program manually after downloading. Your first steps inworld Now that you've registered for Second Life and installed the Second Life Viewer, you're ready to start your adventure in the virtual world—or "inworld," as we call it. Logging in Start the Second Life Viewer and then log in to Second Life by entering the username and password you selected when you registered. If you have problems logging in, see Login failure in the Second Life Knowledge Base. The first time you log in, you will be in an area known as Learning Island, set up especially for new users. Follow the signs and simple instructions to learn the basic skills you'll need. The following sections describe the most important parts of the Viewer and how to get the most out of your experience. To help you get going, I'll give you a quick introduction to the Second Life Viewer, the program you use to experience Second Life. Basic skills Some of the first things you'll want to learn how to do include: Walking Flying Changing your view Text chatting Changing your avatar Interacting with objects Finding out more about nearby people Controlling inworld media Walking There are four ways to make your avatar walk: Click to walk. Simply click on the ground at the point to which you want to go. If your mouse pointer turns into a hand instead of an arrow, you won't move but will instead interact with the object under your mouse pointer. See the Interacting with objects section. Use the arrow keys. The up-arrow ↑ and down-arrow ↓ keys walk you forward and backward, respectively. The left-arrow ← and right-arrow → keys turn you left and right, respectively. Use the W, S, A, and D keys. The W and S keys make you walk forward and backward. The A and D keys turn you left and right, respectively. Make sure you click inworld first so that the chat field doesn't have focus. Otherwise, you'll be typing chat text instead of walking. Click the Walk/Run/Fly button to open the Movement controls. You can click which direction you'd like your avatar to move, as well as toggle between walk, run, and fly modes. Running To run forward, simply double-click the W or up-arrow ↑ key. To run backward, double-click S or the down-arrow ↓ key. Flying Flying in Second Life is really fun, and it lets you move around much faster than you can by walking or running. To fly, press and hold the Page Up key or the E key. Press and hold the Page Down key or the C key to land. Use the same keys to move through the air as you do to walk. Note: Some regions don't allow flying. In these areas, you'll see this icon in the location bar and you won't be able to fly. Keyboard shortcuts See Keyboard shortcuts for a quick reference guide. Changing your view By default, your view is from directly behind and slightly above your avatar. However, it's often useful to see things from a different viewpoint! There are several ways to change your view: To rotate your view, click and drag anywhere on the world. NOTE: If your mouse pointer turns into a hand before you click, then you'll interact with the object instead of rotating your view. To zoom in, press and hold the Alt key, then click and drag your mouse; or use your mouse wheel. To orbit, press and hold the Alt and Control keys, then click and drag your mouse. Click the View button and use the controls, shown at left. To return to the default view, press the Esc key. Text chatting . Click the Chat button (by default in the bottom toolbar) to text chat with people nearby. Everyone within twenty meters of you will be able to see what you type. To shout, press Control-Enter instead of Enter after typing your chat text. Everyone within 100 meters will be able to see what you type. Click the triangle icon in the chat field to show recent chat history. Mouse over names in chat history and then click the icon for more options. Changing your avatar Click Avatar to change your avatar to one of the free provided avatars. You'll be able to choose from a wide variety of avatar looks. For information on customizing your avatar, see Editing your appearance. Interacting with objects To interact with any object you encounter, right-click it and select from the menu of actions and tools, as shown for example above. Some objects (such as furniture) automatically provide a "sit" icon when you mouse over them. Simply click on the object to sit on it. To stand up again, just click the Stand button that appears near the bottom of the window. If your mouse cursor turns into a hand when over an object, you may be able to interact with the object by clicking on it. In some cases, clicking performs an action (such as turning on a light switch); sometimes, the object displays a special menu that lets you select from a variety of actions. When you hover your mouse cursor over an object, you may also see an information box, for example as illustrated at left. Click on the icon for additional options. Finding out more about nearby people To find out about those nearby, mouse over their avatars and click the icon that appears. You'll get an information box with: Their avatar name and how long they've been in Second Life. Profile "biography" information (if they've added it). Voice chat volume control for that person only. A View full profile link t osee more options and information. See the Using Profiles section. Controlling inworld media Many areas in Second Life have music playing for ambience, or video displayed on an inworld surface. Use the controls in the upper right of the Viewer window to control the volume of the audio or, if you like, to turn it off entirely by de-selecting the box to the right. The Pause button to the left of the main volume control button allows you to start or stop streaming videos or media. You can cover your mouse over any streaming media playing inworld for additional controls. Mouse over any inworld surface displaying video or other media to show special media controls. Finding cool stuff to see and do Click Destinations to see the Second Life Destination Guide. Click on a category, then click on a destination in that category to teleport there immediately. Go to http://secondlife.com/destinations/ to see more categories and destinations. Doing more Once you become familiar with walking, flying, and the other basic functions, you may want to try: Using voice chat Making friends Seeing nearby people and friends Using profiles Using voice chat Tired of typing? Use voice chat to talk to nearby people. You'll need to set up a headset or speakers and a microphone. Using a headset avoids annoying echoes of your own voice. Generally, it's best to connect your audio devices before you start Second Life. After you have connected your headset (or speakers and microphone), you may need to configure your sound devices. To do this, choose Me > Preferences > Sound & Media. You'll be able to select your input and output devices and change your volume setting. Once you have configured your sound devices, simply click Speak to speak to those nearby. Click it again to turn off your microphone. If you're having trouble getting voice chat to work, see Voice chat FAQ. Note: Some regions disable voice chat. In these areas, the Speak button will be dimmed, and you won't be able to use voice chat. Voice dots You can tell if voice is enabled and working properly because you'll see a small white dot floating above your name tag, as shown below. If other people have voice enabled, they will have voice dots as well. Making friends To make someone your friend, mouse over their avatar, click the and choose View Full Profile, then click the Add Friend button. This person will receive a friendship request: if they accept it, then they will be on your friends list, and you will be on theirs. How to accept or decline a friendship offer When someone else offers you friendship, a dialog box appears in the lower-right corner of your screen. If you click Accept, your new friend receives on-screen notification that you have accepted the friendship offer. If you click Decline to cancel the offer, the other person receives a notification that you declined the friendship offer. Tip: Strike up a conversation or have some interaction before asking someone to be your friend—it's good manners! Seeing nearby people and friends Click the People button to open the People window, which has four tabs: NEARBY shows everyone within 100m of you. MY FRIENDS shows your friends list, with those currently online shown first. MY GROUPS shows information on your Second Life groups, which are like clubs. See Groups overview for more information. RECENT shows everyone with whom you recently communicated via instant message or group chat. In all of these tabs, a person's name appears dimmed if they are not currently online. Mouse over a person's name for additional options: Click to see more information about the person; then click View full profile for more options. The mini-map in the NEARBY tab shows a bird's eye view of the area you're in; the yellow dot shows your location, and the green dots represent other people. Zoom in and out with your mouse wheel or right-click the map for more options. Using profiles Click Me > Profile to edit your profile. Use your profile to express your personality and interests. You can also share things with your friends and see things they share with you, similar to social networking sites. You can link your Second Life profile with your accounts on Facebook, Twitter, LinkedIn, and other popular social networks. To view someone else's profile, mouse over their avatar, click , then click View full profile. You'll be able to see the things they have allowed based on their privacy settings. To configure your privacy settings: Click Me > Profile Click Edit Profile to customize your profile settings. Click the Privacy tab. Tip: Want to add a profile picture? You'll need to save a snapshot to your PC first, or you can upload an existing snapshot. Adding a Profile picture is a great way to show off your avatar. (Remember, profile pictures must be General maturity!) Moving on Once you've mastered the basic skills covered in this article, you're ready to move on to learn the full richness of the Second Life experience. Have a look at the Second Life User's Guide. Most importantly, have fun! Movement View Communicate System General For advanced users Shortcut keys differ between PC (Windows and Linux) and Mac not just in Second Life, but across applications in general. PC shortcuts are indicated in the tables below. For your convenience, here's a table showing how modifier keys for keyboard shortcuts translate between platforms: PC Mac Ctrl Cmd ⌘ Alt Opt ⌥ Shift Shift Right-click Right-click (Ctrl-click with a single-button mouse) Movement Walk forward W or ↑ Walk backward S or ↓ Turn left A or ← Turn right D or → Run Double-tap W or ↑﻿ (forward); S or ↓ (backward) Always run Ctrl+R Jump E or PgUp (Tap once) Toggle flying F or Home Fly up Hold E or hold PgUp Fly down Hold C or hold PgDn View Mouselook M Reset View Esc Look at Hold Alt and click mouse to re-center Zoom in Ctrl+0 Zoom default Ctrl+9 Zoom out Ctrl+8 Zoom camera in Alt+↑ Zoom camera out Alt+↓ Orbit up Alt+Ctrl+↑ Orbit down Alt+Ctrl+↓ Orbit left Alt+Ctrl+← Orbit right Alt+Ctrl+→ Pan up Alt+Ctrl+Shift+↑ Pan down Alt+Ctrl+Shift+↓ Pan left Alt+Ctrl+Shift+← Pan right Alt+Ctrl+Shift+→ Communicate Friends Ctrl+ Shift+F Local chat history Ctrl+H Look at last speaker Ctrl+\ Gestures Ctrl+G Previous message entered* Ctrl + ↑ Next message entered* Ctrl + ↓ *Available in Nearby Chat, Group Chat, and Instant Message windows. System Undo Ctrl+Z Redo Ctrl+Y Cut Ctrl+X Paste Ctrl+V Duplicate Ctrl+D Select all Ctrl+A Deselect Ctrl+E Close window Ctrl+W Close all windows Ctrl+ Shift+W General Preferences Ctrl+P Help F1 Search Ctrl+F World Map Ctrl+M Mini-map Ctrl+ Shift+M Teleport home Ctrl+ Shift+H Inventory Ctrl+I Build Ctrl+B Upload image Ctrl+U Take snapshot Ctrl+ Shift+S Quit Second Life Ctrl+Q For advanced users It is possible to remap the Second Life Viewer's keyboard controls, but be aware that the procedure is risky and can compromise the Viewer's functionality. To learn more, read our wiki article on Keyboard mapping. Diğer dillerde Başlamadan önce Second Life'a kaydolma ve Second Life'ın yüklenmesi Second Life dünyasındaki ilk adımlarınız Temel beceriler Görecek ve yapacak ilginç şeyleri bulma İlave imkanlar ve beceriler Sonraki adımlar Başlamadan önce Önemli: Second Life içerisindeki zengin 3B içeriğin keyfini çıkarmak için bağımsız bir program olan Second Life Viewer uygulamasını yüklemeniz gerekiyor. Yükleme işlemi hızlı ve kolaydır, ancak bilgisayarınız Sistem Gereksinimlerini karşılamalıdır. Second Life bu gereksinimleri karşılamayan sistemlerde çalışmaz. Second Life'a kaydolma ve Second Life'ın yüklenmesi Second Life'a kaydolmak ve Second Life'ı yüklemek için aşağıdaki hızlı üç adımlı süreci izleyin. 1. Başlangıç avatarınızı seçin ve hesap bilgilerinizi verin Avatarınız Second Life'ta bu şekilde görünecektir. Geniş bir avatar yelpazesinden seçim yapabilirsiniz ve daha sonra fikrinizi değiştirecek olursanız, merak etmeyin - istediğiniz zaman farklı bir avatar seçebilirsiniz! Second Life'ı öğrendikten sonra, avatarınızı istediğiniz gibi özelleştirebilir veya Second Life Pazaryeri'nde geniş bir yelpaze arasından seçim yapabilirsiniz. Kullanıcı adınız, Second Life'ta oturum açmak için kullandığınız hesap adıdır. Bunun benzersiz olması gerekir, bu nedenle basit veya yaygın olarak kullanılan bir adı seçemezsiniz. Daha sonra, kullanıcı adınıza ek olarak herkesin görebileceği bir görünen ad da seçebilirsiniz. Daha fazla bilgi edinmek için, bkz. Kullanıcı adları ve Görünen adlar. Uyarı: Kullanıcı adınızı dikkatle seçin! Bir kez seçtikten sonra değiştiremezsiniz. Bir "görünen ad" belirleyebilir olsanız da, kullanıcı adınız hala görünür olacaktır ve başkaları sizden bahsederken bunu kullanabilir. E-posta adresiniz, doğum tarihiniz ve parolanız dahil diğer hesap ayrıntılarınızı doldurun. Parolanızı unutmanız halinde kullanabileceğiniz hatırlanabilir bir güvenlik sorusu seçtiğinizden emin olun! Not: Hesabınızı oluşturduğunuzda, e-postanıza sizden e-posta adresinizi doğrulamanızı isteyen bir mesaj gönderilecektir. Diğer Second Life Sakinlerinden çevrimdışı mesajlar alabilmek için adresinizi doğrulayın. 2. Üyelik seviyenizi seçin Ücretsiz temel hesabı seçin veya ayda $6 gibi düşük bir bedel karşılığında bir özel hesaba kaydolun. Bir özel hesap ile kendinize ait bir Linden Evine sahip olursunuz (en az 18 yaşındaysanız), ayrıca sanal para ödülleri, size özel sanal eşyalar ve başka pek avantajdan yararlanabilirsiniz. Özel hesaplarla ilgili daha fazla bilgi edinmek için Second Life Bilgi Bankası'nda Özel üyelik konusuna bakın. Şimdi temel bir hesap seçerseniz, daha sonra istediğiniz zaman özel üyeliğe terfi edebilirsiniz. 3. Second Life'ı indirin ve yükleyin Second Life içerisindeki zengin 3B içeriğin keyfini çıkarmak için, Windows ve Mac OS üzerinde çalışan bir uygulama olan Second Life Viewer programını indirmeniz ve yüklemeniz gerekiyor. Çoğu web tarayıcı yükleyiciyi otomatik olarak indirir; bu gerçekleşmezse Second Life'ı İndir ve Yükle düğmesine tıklayın. Yükleyici programını indirdikten sonra manüel olarak çalıştırmanız gerekebilir. Second Life dünyasındaki ilk adımlarınız Artık Second Life'a kaydoldunuz ve Second Life Viewer programını yüklediniz, bu sanal dünyada veya bizim deyişimizle "SL dünyasında" maceranıza başlamaya hazırsınız. Oturum açma Second Life Viewer uygulamasını başlatın ve ardından kaydolurken seçtiğiniz kullanıcı adı ile parolayı girerek Second Life'ta oturum açın. Oturum açarken sorun yaşarsanız, Second Life Bilgi Bankası'nda Oturum açma hatası konusuna bakın. İlk kez oturum açtığınızda, özellikle yeni kullanıcılar için oluşturulmuş Eğitim Adası olarak bilinen bir alana gidersiniz. İhtiyaç duyacağınız temel becerileri öğrenmek için işaretleri ve basit talimatları takip edin. Aşağıdaki bölümlerde Viewer programının en önemli bölümleri ile deneyiminizden nasıl en iyi şekilde yararlanabileceğiniz açıklanmaktadır. Başlamanıza yardımcı olmak amacıyla size Second Life deneyiminizi yaşamak için kullandığınız Second Life Viewer uygulaması hakkında hızlı bir tanıtım sunulacak. Temel beceriler Nasıl yapılacağını öğrenmek isteyeceğiniz ilk şeylerden bazıları şunlardır: Yürüme Uçma Görüş alanınızı değiştirme Yazılı sohbet Avatarınızı değiştirme Nesnelerle etkileşim Yakındaki kişiler hakkında daha fazla bilgi edinme Second Life ortamlarını denetleme Yürüme Avatarınızı yürütmenin dört yöntemi vardır: Yürümek için tıklayın. Gitmek istediğiniz noktada zemin üzerine tıklayın. Fare imleciniz bir ok yerine bir ele dönüşürse, hareket etmezsiniz ama fare imlecinizin altındaki nesneyle etkileşime girersiniz. Bkz. Nesnelerle etkileşim bölümü. Ok tuşlarını kullanın. Yukarı ok ↑ ve aşağı ok ↓ tuşları ile sırasıyla öne ve arkaya doğru yürüyebilirsiniz. Sol ok ← ve sağ ok → tuşları ile sırasıyla sola ve sağa dönebilirsiniz. W, S, A ve D tuşlarını kullanın. W ve S tuşları öne ve arkaya doğru yürümenizi sağlar. A ve D tuşları sırasıyla sola ve sağa dönmenizi sağlar. Sohbet alanının odak noktasında olmaması için önce SL dünyasına tıkladığınızdan emin olun. Aksi takdirde, yürümek yerine sohbet metni yazıyor olursunuz. Hareket denetimlerini açmak için Yürü/Koş/Uç düğmesine tıklayın. Avatarınızın hareket etmesini istediğiniz yöne tıklayabilir ve ayrıca yürüme, koşma ve uçma modları arasında geçiş yapabilirsiniz. Koşma İleri doğru koşmak için, W veya yukarı ok ↑ tuşuna çift tıklayın. Geriye doğru koşmak için, S veya aşağı ok ↓ tuşuna çift tıklayın. Uçma Second Life'ta uçmak gerçekten eğlencelidir; bu sayede yürümeye veya koşmaya göre çok daha hızlı gezinebilirsiniz. Uçmak için, Page Up tuşunu veya E tuşunu basılı tutun. Yere inmek için, Page Down tuşunu veya C tuşunu basılı tutun. Havadayken hareket etmek için yürürken kullandığınız tuşların aynılarını kullanabilirsiniz. Not: Bazı bölgelerde uçmaya izin verilmez. Bu alanlarda, konum çubuğunda simgesini görürsünüz ve bu durumda uçamazsınız. Klavye kısayolları Hızlı bir başvuru kılavuzu için Klavye kısayolları konusuna bakın. Görüş alanınızı değiştirme Varsayılan olarak, görüş alanınız avatarınızın hemen arkasından ve biraz üzerinden başlar. Ancak, çoğu kez olaylara farklı bir açıdan bakmak faydalıdır! Görüş alanınızı değiştirmenin birkaç yolu vardır: Görüş alanınızı döndürmek için, dünya üzerinde herhangi bir yere tıklayın ve sürükleyin. NOT: Fare imleciniz siz tıklamadan önce bir ele dönüşürse, bu durumda görüş alanınızı döndürmek yerine nesneyle etkileşime girersiniz. Görüntüyü yakınlaştırmak için, Alt tuşunu basılı tutun, daha sonra fareyle tıklayın ve sürükleyin ya da fare tekerleğinizi kullanın. Yörüngede dönmek için, Alt ve Control tuşlarını basılı tutun, ardından fareyle tıklayın ve sürükleyin. Görünüm düğmesine tıklayın ve solda gösterilen denetimleri kullanın. Varsayılan görünüme dönmek için, Esc tuşuna basın. Yazılı sohbet . Yakındaki kişilerle sohbet etmek için Sohbet düğmesine (varsayılan olarak alttaki araç çubuğunda bulunur) tıklayın. Yirmi metreye kadar etrafınızdaki herkes yazdıklarınızı görebilecektir. Bağırmak için, sohbet metninizi yazdıktan sonra Enter yerine Control-Enter tuşlarına basın. 100 metreye kadar etrafınızdaki herkes yazdıklarınızı görebilecektir. Yakın zamandaki sohbet geçmişini göstermek için sohbet alanındaki üçgen simgesine tıklayın. Fareyi sohbet geçmişindeki adların üzerine getirin ve diğer seçenekler için simgesine tıklayın. Avatarınızı değiştirme Avatarınızı ücretsiz sağlanan avatarlardan biriyle değiştirmek için Avatar düğmesine tıklayın. Çok çeşitli avatar görünümleri arasından seçim yapabilirsiniz. Avatarınızı özelleştirme hakkında bilgi için, bkz. Görünümünüzü düzenleme. Nesnelerle etkileşim Karşılaştığınız herhangi bir nesneyle etkileşime girmek için, nesneye sağ tıklayın ve yukarıdaki örnekte gösterildiği gibi eylemler ve araçlar menüsünden seçim yapın. Bazı nesneler (mobilyalar gibi) fareyi üzerine getirdiğinizde otomatik olarak bir "otur" simgesi gösterir. Üzerine oturmak için nesneye tıklamanız yeterlidir. Tekrar ayağa kalkmak için, pencerenin alt kısmı yakınında beliren Kalk düğmesine tıklayın. Fare imleciniz bir nesnenin üzerindeyken bir ele dönüşürse, üzerine tıklayarak nesneyle etkileşime girebilirsiniz. Bazı durumlarda, tıkladığınız zaman bir eylem gerçekleşir (bir lamba anahtarını açmak gibi); bazen de nesne çeşitli eylemler arasında seçim yapmanıza imkan tanıyan bir özel menü görüntüler. Fare imlecini bir nesnenin üzerine getirdiğinizde, örneğin solda gösterildiği gibi, bir bilgi kutusu da görebilirsiniz. İlave seçenekler için simgesine tıklayın. Yakındaki kişiler hakkında daha fazla bilgi edinme Yakındaki kişiler hakkında bilgi edinmek için, farenizi bunların avatarlarının üzerine getirin ve ekranda beliren simgesine tıklayın. Şu bilgileri içeren bir bilgi kutusu göreceksiniz: Bu kişilerin avatar adları ve Second Life'ta ne kadar süredir bulundukları. Profil "biyografisi" bilgileri (ekledilerse). Sadece ilgili kişi için sesli sohbet ses düzeyi denetimi. Daha fazla seçenek ve bilgi görmek için Tam profili görüntüle bağlantısı. Bkz. Profilleri Kullanma bölümü. Second Life ortamlarını denetleme Second Life içerisinde pek çok alanda ortam müziği çalar veya SL içerisindeki bir yüzeyde video gösterilir. Ses düzeyini kontrol etmek veya isterseniz tamamen kapatmak için sağdaki kutunun seçimini kaldırarak Viewer penceresinin sağ üst köşesindeki denetimleri kullanın. Ana ses düzeyi denetimi düğmesinin solundaki Duraklat düğmesi video veya medya akışını başlatmanıza veya durdurmanıza olanak verir. Ek denetimler için farenizi SL dünyasında oynatılan herhangi bir medya akışının üzerine getirebilirsiniz. Özel ortam denetimlerini göstermek için fareyi video veya başka bir medya gösterilen herhangi bir SL dünyası yüzeyinin üzerine getirin. Görecek ve yapacak ilginç şeyleri bulma Second Life Destinasyon Kılavuzunu görmek için Destinasyonlar öğesine tıklayın. Bir kategoriye tıklayın, ardından bu kategorideki bir destinasyona tıklayarak hemen oraya ışınlanın. Daha fazla kategori ve destinasyon görmek için http://secondlife.com/destinations/ sayfasına gidin. İlave imkanlar ve beceriler Yürüme, uçma ve diğer temel işlevleri öğrendikten sonra şunları da denemek isteyebilirsiniz: Sesli sohbeti kullanma Arkadaş edinme Yakındaki kişileri ve arkadaşları görme Profilleri kullanma Sesli sohbeti kullanma Yazmaktan yoruldunuz mu? Yakındaki kişilerle konuşmak için sesli sohbeti kullanın. Bunun için bilgisayarınıza bir kulaklık veya hoparlör ile bir mikrofon bağlamanız gerekecek. Kulaklık kullanmanız kendi sesinizin rahatsız edici yankısını önler. Genelde Second Life'ı başlatmadan önce ses cihazlarınızı bağlamanız en iyisidir. Kulaklığınızı (veya hoparlörünüzü veya mikrofonunuzu) bağladıktan sonra ses cihazlarınızı yapılandırmanız gerekebilir. Bunu yapmak için, Ben > Tercihler > Ses ve Medya öğesini seçin. Giriş ve çıkış cihazlarınızı seçebilecek ve ses düzeyi ayarınızı değiştirebileceksiniz. Tüm ses cihazlarınızı yapılandırdıktan sonra, yakınınızdaki kişilerle konuşmak için Konuş seçeneğine tıklayın. Mikrofonunuzu kapatmak için buna tekrar tıklayın. Sesli sohbeti çalıştırmakta sorun yaşıyorsanız, Sesli sohbet SSS bölümüne bakın. Not: Bazı bölgelerde sesli sohbet devre dışı bırakılmıştır. Bu alanlarda, Konuş düğmesi soluk olur ve sesli sohbeti kullanamazsınız. Ses noktaları Aşağıda gösterildiği gibi, ad etiketinizin üzerinde gezinen küçük bir beyaz nokta göreceğinizden sesin etkin olup olmadığını ve düzgün bir şekilde çalışıp çalışmadığını söyleyebilirsiniz. Diğer kişilerde ses etkinse, onlar da ses noktaları görecektir. Arkadaş edinme Biriyle arkadaşlık kurmak için, farenizi ilgili kişinin avatarının üzerine getirin, simgesine tıklayın ve Tam Profili Görüntüle öğesini seçin, ardından Arkadaş Ekle düğmesine tıklayın. Bu kişiye bir arkadaşlık talebi gönderilir: kişi bu talebi kabul ederse, arkadaşlar listenize eklenir, siz de ilgili kişinin arkadaşlar listesine eklenirsiniz. Bir arkadaşlık teklifini kabul etme veya reddetme Başka biri size arkadaşlık önerdiğinde, ekranınızın sağ alt köşesinde bir iletişim kutusu belirir. Kabul Et düğmesine tıklarsanız, yeni arkadaşınız arkadaşlık teklifini kabul ettiğinizi belirten bir ekran bildirimi alır. Teklifi iptal etmek için Reddet düğmesine tıklarsanız, diğer kişi arkadaşlık teklifini reddettiğinizi belirten bir bildirim alır. İpucu: Birine arkadaşınız olmasını teklif etmeden önce bir sohbet başlatın veya etkileşime geçin - nezaket bunu gerektirir! Yakındaki kişileri ve arkadaşları görme Kişiler penceresini açmak için Kişiler düğmesine tıklayın, burada dört sekme vardır: YAKIN 100 metreye kadar etrafınızdaki herkesi gösterir. ARKADAŞLARIM arkadaşlar listenizi gösterir, o anda çevrimiçi olanlar önce gösterilir. GRUPLARIM Second Life gruplarınız ile ilgili bilgileri gösterir; bunlar kulüplere benzer. Daha fazla bilgi için, bkz. Gruplara genel bakış. SON yakın zamanda anlık mesaj veya grup sohbeti ile iletişim kurduğunuz herkesi gösterir. Bu sekmelerin tümünde, o anda çevrimiçi olmayan kişilerin adları soluk gösterilir. İlave seçenekler için fareyi bir kişinin adının üzerine getirin: Kişi hakkında daha fazla bilgi görmek için simgesine tıklayın, ardından daha fazla seçenek için Tam profili görüntüle öğesine tıklayın. YAKIN sekmesindeki mini harita içinde bulunduğunuz alanın kuşbakışı görünümünü gösterir; sarı noktalar sizin konumunuzu gösterir ve yeşil noktalar diğer kişileri temsil eder. Daha fazla seçenek için farenizin tekerleği ile yakınlaştırın ve uzaklaştırın veya haritaya sağ tıklayın. Profilleri kullanma Profilinizi düzenlemek için Ben > Profil seçeneğine tıklayın. Kişiliğinizi ve ilgi alanlarınızı ifade etmek için profilinizi kullanın. Ayrıca sosyal paylaşım sitelerine benzer şekilde, arkadaşlarınızla bazı şeyleri paylaşabilir ve onların sizinle paylaştıklarını görebilirsiniz. Second Life profilinizi Facebook, Twitter, LinkedIn ve diğer popüler sosyal ağlardaki hesaplarınız ile ilişkilendirebilirsiniz. Başka birinin profilini görüntülemek için, fareyi ilgili kişinin avatarının üzerine getirin, simgesine tıklayın, ardından Tam profili görüntüle seçeneğine tıklayın. Bu kişinin gizlilik ayarlarına bağlı olarak, görülmesine izin verdiği şeyleri görebilirsiniz. Gizlilik ayarlarınızı yapılandırmak için: Ben > Profil öğesine tıklayın. Profil ayarlarınızı özelleştirmek için Profili Düzenle seçeneğine tıklayın. Gizlilik sekmesine tıklayın. İpucu: Profil resmi eklemek mi istiyorsunuz? Önce bilgisayarınıza bir anlık görüntü kaydetmeniz gerekir veya mevcut bir anlık görüntüyü yükleyebilirsiniz. Bir Profil resmi eklemek, avatarınızı göstermenin harika bir yoludur. (Unutmayın, profil resimleri Genel olgunluk seviyesinde olmalıdır!) Sonraki adımlar Bu makalede anlatılan temel becerileri iyice öğrendikten sonra, Second Life deneyiminin tüm zenginliğini öğrenmeye geçmek için hazırsınız demektir. Second Life Kullanıcı Kılavuzu'na göz atın. Her şeyden önemlisi, eğlenmeye bakın! Em outros idiomas Antes de começar Fazendo o cadastro e instalando o Second Life Seus primeiros passos no mundo interno Habilidades básicas Encontrando coisas legais para ver e fazer Fazendo mais Seguindo em frente Antes de começar Importante: Você deve instalar um programa independente, o Visualizador Second Life, para aproveitar o sofisticado conteúdo em 3D no Second Life. O processo de instalação é rápido e fácil, mas seu computador deve atender as Exigências do sistema. O Second Life não será executado em sistemas que não atendam a esses requisitos. Fazendo o cadastro e instalando o Second Life Siga esse processo rápido em três passos para se cadastrar no Second Life e instalá-lo. 1. 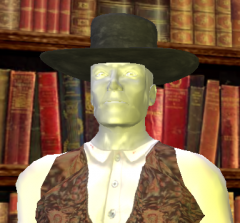 Escolha o seu avatar inicial e forneça a informação da sua conta O seu avatar é como você vai parecer no Second Life. Você pode escolher o seu avatar de uma grande variedade, se você mudar de ideia depois, não se preocupe — você pode selecionar um avatar diferente a qualquer momento! Depois que você aprender sobre o Second Life, poderá personalizar seu avatar como seu coração desejar ou escolher entre uma vasta seleção Second Life Mercado. O seu nome de usuário é o nome da conta que você usa para fazer acessar o Second Life. Ele deve ser exclusivo, por isso não escolha um nome simples ou comum. Depois, você pode escolher um nome de exibição que todos verão além do seu nome de usuário. Para obter mais informações, consulte nomes de usuários e nomes de tela. Aviso: Escolha seu nome de usuário com cuidado! Depois de escolhido, não é possível alterá-lo. Ainda que você possa definir um "nome de exibição", seu nome de usuário será visível e os outros podem usá-lo para se referir a você. Preencha nos seus detalhes faltantes da sua conta, incluindo o seu endereço de e-mail, data de nascimento e senha. Certifique-se de usar um pergunta de segurança de fácil memorização para caso você esquecer sua senha! Nota: Quando criar a sua conta, você receberá uma mensagem no e-mail solicitando a verficação do seu e-mail. Verifique o seu e-mail para receber mensagens offline de outros Residentes Second Life. 2. Selecionar seu plano atual nível Escolha uma conta básica gratuita ou cadastre-se para uma conta premium por apenas US$ 6,00 por mês. Com uma conta premium, você obtém sua Residência Linden privada (se você tiver no mínimo 18 anos), recompensas em moeda virtual, brindes virtuais exclusivos e muitos outros benefícios. Para obter mais informações sobre as contas premium, consulte assinatura Premium na Base de conhecimentos do Second Life. Caso você escolha uma conta básica agora, poderá fazer o upgrade para uma assinatura premium mais tarde. 3. Baixe e instale o Second Life Para aproveitar o sofisticado conteúdo em 3D do Second Life, você deve baixar e instalar o visualizador do Second Life, um aplicativo que é executado em Windows e Mac OS. A maioria dos navegadores da Web farão o download do instalador automaticamente. Caso isso não aconteça, clique em Baixar e instalar o Second Life. Talvez seja preciso executar o programa do instalador manualmente após a instalação. Seus primeiros passos no mundo interno Agora que você se cadastrou no Second Life e instalou o visualizador do Second Life, está pronto para iniciar sua aventura no mundo virtual — ou no "mundo interno", como chamamos. Conectando Inicie o Visualizador do Second Life e acesse o Second Life inserindo o nome de usuário e a senha que você escolheu quando se cadastrou. Se tiver problemas ao fazer o logon, consulte Falha de login na Base de conhecimentos do Second Life. Na primeira vez que você fizer o logon, você estará em uma área conhecida como Aprendendo da Ilha, elaborada especialmente para os novos usuários. Siga os sinais e as instruções simples para aprender as habilidades básicas que serão necessárias. As seções a seguir descrevem as partes mais importantes do Visualizador e como obter o máximo de sua experiência. Para ajudá-lo a começar, farei uma apresentação rápida do Visualizador do Second Life, o programa usado para viver o Second Life. Habilidades básicas Algumas das primeiras coisas que você precisará incluir são: Andando Voando Alterando sua exibição Bate-papo por texto Alteração do seu avatar Interação com objetos Saiba mais sobre pessoas próximas Controlando a mídia no mundo interno Andando Existem três maneiras de fazer seu avatar andar: Clicar para caminhar. Simplesmente clique no chão em um ponto para onde deseja ir. Se o ponteiro do seu mouse se transformar em uma mão em vez de uma seta, você não se moverá a não ser que interaja com um objeto. Consulte a seção Interagindo com os objetos. Usar as teclas de seta. A tecla seta para cima ↑ e para baixo ↓ caminha para frente e para trás, respectivamente. As teclas seta para esquerda ← e direita → viram para esquerda e direita, respectivamente. Utilize as teclas W, S, A, e D. As teclas W e S fazem você andar para frente e para trás. As letras A e D fazem com que você vire à esquerda e à direita, respectivamente. Lembre-se de clicar no mundo interno primeiro para que o campo bate-papo não fique em foco. Caso contrário, você irá digitar um texto de bate-papo e não andará. Clique o botão Caminhar/Correr/Voar para abrir os controles de Movimentos. Você pode clicar em qual direção você gostaria que seu avatar se movesse, bem como variar entre os modos caminhar, correr e voar. Correr Para correr para frente, é só clicar duas vezes nas teclas W ou seta para cima ↑ . Para correr para trás, é só clicar duas vezes nas teclas S ou a tecla seta para baixo ↓. Voando Voar no Second Life é muito legal e permite que você se mova muito mais rápido do que andando ou correndo. Para voar, mantenha pressionada a tecla Page Up ou E. Mantenha pressionada a tecla Page Down ou C para pousar. Use as mesmas teclas que você usa para caminhar para se mover pelo ar. Nota: Algumas regiões não permitem voos. Nessas áreas, você verá este ícone na barra de localização no e não poderá voar. Atalhos do teclado Consulte Atalhos do teclado para obter um guia de referência rápida. Alterando sua exibição Por padrão, sua exibição está diretamente atrás e levemente acima do seu avatar. No entanto, geralmente é útil ver as coisas de um ponto de vista diferente! Há várias maneiras diferentes de alterar a exibição: Para girar a exibição, clique e arraste em qualquer lugar no mundo. OBSERVAÇÃO: se o ponteiro do seu mouse mudar para uma mão antes de você clicar, você irá interagir com o objeto ao invés de girar sua exibição. Para ampliar o zoom, mantenha pressionada a tecla Alt e clique e arraste o mouse ou use o botão de rolagem. Para orbitar, mantenha pressionada as teclas Alt e Control, em seguida, clique e arraste o mouse. Clique no botão Exibir e use os controles mostrados à esquerda. Para voltar à exibição padrão, pressione a tecla Esc. Bate-papo por texto . Clique no botão Bate-papo (por padrão na barra de ferramentas inferior) para conversar por texto com pessoas próximas. Todos que estejam a até 20 metros de você poderão ver o que você escreve. Para gritar, pressione Control-Enter em vez de Enter depois de digitar o texto do seu bate-papo. Todos que estejam a até 100 metros de você poderão ver o que você escreve. Clique no ícone de triângulo no campo de bate-papo para mostrar o histórico recente de bate-papo. Passe o mouse sobre os nomes no histórico de bate-papos e clique no ícone para obter mais opções. Alteração do seu avatar Clique em Avatar para alterar seu avatar para um dos avatares fornecidos gratuitamente. Você poderá escolher entre uma grande variedade de aparência de avatar. Para obter informações sobre personalizar seu avatar, consulteMudar sua aparência. Interação com objetos Para interagir com qualquer objeto encontrado, clique com o botão direito do mouse no objeto e, no menu de ações e ferramentas, faça sua seleção como no exemplo mostrado à direita. Alguns objetos (como móveis) fornecem automaticamente um ícone de "sentar" quando você passa o mouse sobre eles. Basta clicar sobre o objeto para sentar nele. Para ficar novamente de pé, clique no botão Levantar que aparece próximo à parte inferior da janela. Se o ponteiro do seu mouse se transformar em uma mão sobre um objeto, você poderá interagir com objeto clicando nele. Em alguns casos, clicar realiza uma ação (como acender uma lâmpada); em outras, o objeto exibe um menu especial que permite que você escolha entre várias ações. Quando você passa o mouse sobre um objeto, você também pode ver uma caixa de informações, como ilustrado à esquerda, por exemplo. Clique no ícone para obter opções adicionais. Saiba mais sobre pessoas próximas Para saber mais sobre as pessoas próximas, passe o mouse sobre seus avatares e clique no ícone que aparecer. Você verá uma caixa de informações com: O nome do avatar e há quanto tempo eles estão no Second Life. As informações de "biografia" do perfil (se ela foi adicionada). Controle do volume do bate-papo de voz apenas para aquela pessoa. Visualizar perfil completo um link para ver mais opções e informações. Ver a seção Usando Perfis. Controlando a mídia no mundo interno Várias áreas do Second Life têm música ambiente ou vídeos exibidos em uma superfície do mundo interno. Use os controles na parte superior direita da janela do Visualizador para controlar o volume do áudio ou, se desejar, desligá-lo completamente. O botão Pause do lado esquerdo do botão principal do controle de volume permite que você inicie ou pare a exibição de vídeos ou mídias. Você pode passar o seu mouse por cima de qualquer mídia em exibição para controles adicionais. Passe o mouse sobre qualquer superfície do mundo interno que esteja exibindo vídeos ou outra mídia para exibir os controles especiais de mídia. Encontrando coisas legais para ver e fazer Clique em Destinos para ver o Guia de destinos do Second Life. Clique em uma categoria e, em seguida, em um destino naquela categoria para ser teletransportado para lá imediatamente. Vá para http://secondlife.com/destinations/ para ver mais categorias e destinos. Fazendo mais Depois que você estiver familiarizado com caminhar, voar e outras funções básicas, você pode tentar: Usando o bate-papo de voz Fazendo amizades Ver pessoas próximas e amigos Usando perfis Usando o bate-papo de voz Cansou de digitar? Use o bate-papo de voz para conversar com pessoas próximas. É preciso configurar um headset ou alto-falantes e um microfone. O uso de um headset evita ecos chatos da sua própria voz. Geralmente, é melhor conectar os dispositivos de áudio antes de iniciar o Second Life. Depois que você tiver conectado seu headset (ou os alto-falantes e o microfone), será preciso configurar os dispositivos de som. Para fazer isso, selecione Eu > Preferências > Som e mídia. Você poderá selecionar seus dispositivos de entrada e de saída e alterar a configuração de volume. Quando tiver configurado os dispositivos de som, simplesmente clique em Falar para falar com pessoas próximas. Clique novamente para desligar o microfone. Se tiver problemas para fazer o bate-papo de voz funcionar, consulte Perguntas frequentes sobre bate-papo de voz. Nota: Algumas regiões desativam o bate-papo de voz. Nessas áreas, o botão Falar estará apagado e você não poderá usar o bate-papo de voz. Pontos de voz Você pode saber se a voz está ativada e funcionando corretamente se vir um pequeno ponto branco flutuando sobre seu nome, como mostrado abaixo. Se outras pessoas estiverem com a voz ativada, elas também terão pontos de voz. Fazendo amizades Para fazer amizade com alguém, passe o mouse sobre o avatar da pessoa, clique e escolha Visualizar Perfil Completo, então, clique no botão Adicionar Amigo . Esta pessoa receberá uma solicitação de amizade: se ela for aceita, a pessoa estará em sua lista de amigos e você estará na dela. Como aceitar ou recusar uma oferta de amizade Quando alguém se oferece como amigo, uma caixa de diálogo é exibida no canto inferior direito da sua tela. Se você clicar em Aceitar, seu novo amigo receberá uma notificação na tela de que você aceitou a solicitação de amizade. Se você clicar em Recusar para cancelar a solicitação, a outra pessoa receberá uma notificação de que você recusou a solicitação de amizade. Dica: Inicie uma conversa ou interaja com a pessoa antes de fazer a solicitação de amizade – é uma questão de bons modos! Ver pessoas próximas e amigos Clique no botão Pessoas para abrir a janela Pessoas, que tem quatro guias: PROXIMIDADE mostra todos em um raio de 100 m de você. MEUS AMIGOS mostra sua lista de amigos, com os que estão online no momento no topo. MEUS GRUPOS mostra informações sobre seus grupos do Second Life, que são como clubes. Consulte visão geral dos Grupos para mais informações. RECENTE mostra todos com quem você se comunicou recentemente por meio de mensagem instantânea ou conversas em grupo. Em todas essas guias, o nome da pessoa aparece apagado se ela não estiver online no momento. Passe o mouse sobre o nome de uma pessoa para obter opções adicionais: Clique para ver mais informações sobre a pessoa; então, clique Visualizar perfil completo para mais informação. O mini mapa na guia PROXIMIDADE mostra uma visão aérea da área na qual você está: o ponto amarelo mostra sua localização e os pontos verdes representam as demais pessoas. Aproxime e afaste com o botão de rolagem do mouse ou clique com botão direito do mouse sobre o mapa para mais opções. Usando perfis Clique em Mim > Perfil para editar seu perfil. Use seu perfil para expressar sua personalidade e seus interesses. Você também pode compartilhar coisas com seus amigos e ver coisas que eles compartilham com você, de maneira semelhante aos sites de redes sociais. Você pode vincular seu perfil do Second Life a suas contas no Facebook, Twitter, LinkedIn e outras redes sociais populares. Para visualizar o perfil de outra pessoa, passe o mouse pelo avatar, clique , então, clique Visualizar perfil completo. Você poderá ver itens permitidos por eles com base em suas configurações de privacidade. Para configurar suas definições de privacidade: Clique em Mim >Perfil Clique Editar Perfil para personalizar a definições do seu perfil. Clique na guia Privacidade . Dica: Deseja adicionar uma foto ao perfil? Você precisará salvar uma foto primeiro no seu PC, ou você pode usar uma foto já existente. Adicionando uma foto ao Perfil é uma forma bem legal de mostrar seu perfil. (Lembre-se, fotos de perfil devem ser Decentes!) Seguindo em frente Quando você tiver dominado as habilidade básicas abordadas neste artigo, você estará pronto para seguir em frente e aprender todos os detalhes da experiência do Second Life. Verifique o Guia do Usuário do Second Life. E o mais importante: divirta-se! На других языках До начала игры Регистрация и установка Second Life Ваши первые шаги в игровом мире Основные умения Поиск особо интересного, на которое стоит посмотреть или попробовать Дополнительные возможности Далее До начала игры Важно: Для доступа ко всем возможностям трехмерного мира Second Life вам надо установить автономную программу Second Life Viewer. Установка выполняется легко и быстро, но ваш компьютер должен соответствовать системным требованиям. В системах, не удовлетворяющих этим требованиям, Second Life не будет работать. Регистрация и установка Second Life Для регистрации в мире Second Life и установки программы достаточно выполнить три простых действия. 1. Выберите исходный аватар и укажите данные аккаунта Ваш аватар будет представлять вас в Second Life. У вас есть широкий выбор аватаров и если вы передумаете, ничего страшного – вы можете поменять аватара в любое время! Когда вы освоитесь в Second Life, вы сможете самостоятельно изменить аватар по своему вкусу или воспользоваться выбором Торгового центра Second Life. Ваше имя пользователя – это имя аккаунта, которое вы указываете при входе в Second Life. Оно должно быть уникальным, поэтому вы не можете выбрать себе простое или распространенное имя. Позже вы также сможете выбрать отображаемое имя, которое будет видно всем в дополнение к вашему имени пользователя. Подробнее об этом см. Имена пользователей и Отображаемые имена. Предупреждение: При выборе имени пользователя будьте внимательны! Поменять выбранное имя уже нельзя. Несмотря на выбранное «отображаемое имя», ваше имя пользователя также будет отображаться на экране и другие игроки могут обращаться к вам по этому имени. Введите сведения о вашем аккаунте, в том числе адрес вашей электронной почты, дату рождения и пароль. Не забудьте ввести запоминающийся ответ на контрольный вопрос на случай, если вы забудете свой пароль! Примечание: При создании своего аккаунта вы получите по электронной почте сообщение с просьбой подтвердить адрес электронной почты. Подтвердите свой адрес, чтобы получать сообщения от других жителей Second Life без подключения к Интернету. 2. Выберите уровень членства Выберите бесплатный базовый аккаунт или подпишитесь на премиум-аккаунт, который обойдётся вам всего лишь в 6 долларов США в месяц. Вместе с премиум-аккаунтом вы получаете собственный Linden-дом (если вам уже исполнилось 18 лет), виртуальные денежные призы, эксклюзивные виртуальные товары и множество других услуг. Подробнее о премиум-аккаунтах см. Премиум-членство в Базе знаний Second Life. Сейчас вы можете выбрать базовый аккаунт, а затем в любое время повысить свой статус до премиум-членства. 3. Загрузить и установить Second Life Для доступа в трехмерный мир Second Life вам надо загрузить и установить Second Life Viewer – приложение, работающее в ОС Windows и Mac OS. В большинстве браузеров программа установки этого приложения загружается автоматически. Если этого не происходит, щелкните ссылку Загрузить и установить Second Life. Возможно, после загрузки потребуется запустить программу установки вручную, если она не запускается автоматически. Ваши первые шаги в игровом мире После регистрации в Second Life и установки приложения Second Life Viewer вы готовы к приключениям в виртуальном мире - или «игровом мире», как мы его называем. Вход Запустите приложение Second Life Viewer и выполните вход в Second Life. Для этого введите имя пользователя и пароль, выбранные вами при регистрации. Если при входе возникают проблемы см. Сбой при входе в Базе знаний Second Life. После первого входа вы попадаете на так называемый Остров обучения, специально созданный для новых пользователей. Здесь вы увидите знаки и простые инструкции, которые помогут вам получить первые необходимые навыки. Далее приведено описание наиболее важных частей приложения Viewer и ваших возможностей в виртуальном мире. Чтобы вам было легче их освоить, представляем краткое введение в Second Life Viewer – программу для получения опыта в Second Life. Основные умения Навыки, с которыми вы бы хотели ознакомиться в первую очередь, включают следующее: Ходьба Полет Изменение угла обзора Беседа в текстовом чате Изменение аватара Взаимодействие с объектами Получение сведений об окружающих вас людях Управление средствами мультимедиа в игровом мире Ходьба Для передвижения аватара у вас есть четыре возможности: Щелкнуть мышкой, чтобы начать ходьбу. Просто щелкните на экране в ту точку, куда вы хотите попасть. Если указатель мыши при этом из стрелки превращается в руку, то вместо ходьбы у вас появится возможность взаимодействия с объектом, находящимся под указателем мыши. См. раздел Взаимодействие с объектами. Используйте клавиши со стрелками. Нажимая клавиши со стрелкой вверх ↑ и со стрелкой вниз ↓, можно передвигаться соответственно вперед и назад. При нажатии клавиши со стрелкой влево ← или вправо → вы поворачиваетесь налево или направо. Использование клавишей W, S, A и D. Нажимая клавиши W и S, можно ходить вперед и назад. При нажатии клавиши A или D вы поворачиваетесь налево или направо соответственно. Но сначала щелкните любую точку в игровом мире, чтобы убрать курсор из поля чата. В противном случае вместо ходьбы вы будете вводить текст. Нажмите клавишу Ходьба/Бег/Полет , чтобы открыть органы управления движением. Щелчком вы можете указывать направление движения аватара, а также переключаться между режимами ходьбы, бега и полета. Бег Чтобы побежать вперед, просто дважды нажмите клавишу W или клавишу со стрелкой вверх ↑ . Чтобы побежать назад, дважды нажмите клавишу S или клавишу со стрелкой вниз ↓. Полет Полет в Second Life не только приносит настоящее удовольствие, но и позволяет достичь цели гораздо быстрее, чем при ходьбе или беге. Чтобы взлететь, нажмите и удерживайте клавишу Page Up или клавишу E. Для приземления нажмите и удерживайте клавишу Page Down или клавишу C. Для перемещения в воздухе используйте те же клавиши, что и при ходьбе. Примечание: В некоторых регионах полеты не разрешены. В таких областях в строке размещения вы увидите значок с указанием на невозможность полета. Горячие клавиши Перечень таких клавиш см. в статье Горячие клавиши. Изменение угла обзора По умолчанию ваш взгляд направлен из точки позади аватара и чуть выше его. Однако часто бывает полезно взглянуть на вещи с другого ракурса! Изменить угол обзора можно несколькими способами. Для поворота угла обзора щелкните на любой точке в мире и перетащите ее мышью. ПРИМЕЧАНИЕ: Если указатель мыши перед щелчком из стрелки превращается в руку, вместо поворота угла обзора вы начнете взаимодействовать с объектом. Чтобы увеличить изображение, при нажатой клавише Alt щелкните и перетащите мышь или поверните колесико мыши. Для вращения угла обзора щелкните и перетащите мышь при нажатых клавишах Alt и Ctrl. Также можно нажать клавишу Вид и воспользоваться органами управления, приведёнными слева. Для возврата к обычному углу обзора нажмите клавишу Esc. Беседа в текстовом чате . Нажмите клавишу «Чат» (обычно она находится на нижней панели инструментов), чтобы отправить смс людям поблизости от вас. Текст, который вы вводите, увидят все в радиусе 20 метров. Для увеличения радиуса приёма вашего смс после ввода текста вместо Enter нажмите клавиши Ctrl-Enter . В этом случае текст вашего смс будет доступен в радиусе 100 метров. Для просмотра последних сообщений чата нажмите треугольный значок в области чата. Наведите мышь на имя собеседника в истории чата и щелкните значок для получения дополнительных опций. Изменение аватара Нажмите на клавишу Аватар для смены на одного из аватаров, предлагаемых бесплатно. Вы сможете выбрать из большого разнообразия образов аватара. О настройке своего аватара читайте в статье Изменение внешнего вида. Взаимодействие с объектами Для совершения каких-либо действий с найденным объектом щелкните по нему правой кнопкой мыши и выберите в меню нужное действие или инструмент, как это показано на рисунке выше. При наведении мыши на некоторые объекты (например, мебель) автоматически появляется значок «сесть». Чтобы сесть на этот объект, просто щелкните по нему. Чтобы снова встать, нажмите кнопку Встать, которая появляется в нижней части окна. Если при наведении на объект указатель мыши превращается в руку, то после щелчка клавишей мыши по объекту у вас появится возможность манипулировать им. В некоторых случаях щелчком мыши можно произвести какое-нибудь действие (например, включить свет), а в других случаях вызвать специальное меню с опциями множества команд. При наведении мыши на объект также может появиться информационное окно, такое, как показано слева. Щелкните значок для доступа к дополнительным командам. Получение сведений о людях рядом с вами Чтобы больше узнать о человеке рядом с вами, наведите мышь на его аватар и щелкните по появившемуся значку . Появится информационное окно со следующим содержанием: Имя аватара и его стаж в Second Life. «Биографические» данные профиля (если они указаны пользователем). Регулятор громкости голосового чата только для этого аватара. Ссылка Просмотреть полный профиль для получения дополнительных опций и информации. См. раздел Использование профилей. Управление средствами мультимедиа в игровом мире Во многих областях Second Life для создания атмосферы проигрывается музыка или проецируется видео на какой-либо части игрового мира. С помощью органов управления в верхнем правом углу окна Viewer можно регулировать громкость звука или при желании вообще отключить его, убрав галочку справа. С помощью кнопки Пауза слева от основного регулятора громкости можно начинать или приостанавливать воспроизведение видео или мультимедиа. Вы можете навести мышь на любое воспроизводимое в игровом мире мультимедиа для получения дополнительных возможностей регулировки. Наведите мышь на часть игрового мира, на котором воспроизводится видеоряд или другое мультимедиа, для получения доступа к органам управления отдельными аудио- и видеоприложениями. Поиск особо интересного, на которое стоит посмотреть или попробовать Нажмите клавишу Пункты назначения, чтобы открыть путеводитель Second Life по пунктам назначения. Выберите категорию, затем щелкните в ней на какой-либо пункт назначения и вас немедленно туда телепортируют. О разных категориях и пунктах можно прочитать на странице http://secondlife.com/destinations/. Другие возможности Когда вы научитесь хорошо ходить, летать и освоите другие основные функции, попробуйте: Поговорить в голосовом чате Завести друзей Узнать о людях рядом с вами и о своих друзьях Поработать с профилями Использование голосового чата Надоело набирать текст? Используйте голосовой чат, чтобы поболтать с людьми рядом с вами. Для этого вам понадобится гарнитура или колонки и микрофон. При использовании гарнитуры вас не будет доставать отражение собственного голоса. Желательно подключить аудиоустройства до запуска Second Life. Возможно, потребуется настройка подключенной гарнитуры (или колонок и микрофона). Для этого выберите команды меню Я > Настройки > Звук и мультимедиа. Затем можно будет выбрать входное и выходное устройства и установить уровень громкости. После настройки звуковых устройств просто нажмите на клавишу Говорить и начните разговаривать с окружающими. Чтобы выключить микрофон, нажмите на клавишу еще раз. При возникновении проблем с работой голосового чата обращайтесь к статье Голосовой чат – вопросы и ответы. Примечание: В некоторых регионах голосовой чат недоступен. При этом клавиша Говорить затеняется и не функционирует. Точки голоса Узнать, что голосовой чат доступен и работает нормально, можно по белой точке над вашим именем, как это показано на рисунке ниже. Доступность голосового чата у других людей также можно распознать по белым точкам. Знакомство с новыми друзьями Чтобы подружиться с кем-нибудь, наведите мышь на аватар вашего собеседника, щелкните значок и выберите команду Просмотреть полный профиль. Затем нажмите кнопку Добавить друга . Этот пользователь получит приглашение подружиться и если он примет его, то будет включен в список ваших друзей. В свою очередь, вы окажетесь в списке его друзей. Как принять или отклонить предложение о дружбе Когда кто-нибудь предлагает вам стать друзьями, в нижнем правом углу экрана у вас появляется диалоговое окно. При нажатии клавиши Принять ваш новый друг получает извещение о том, что вы приняли его предложение. При нажатии клавиши Отклонить другой пользователь получает извещение о том, что вы отклонили предложение стать друзьями. Совет: Прежде чем предлагать дружбу, сначала начните разговор или как-то привлеките внимание собеседника – как это принято по правилам хорошего тона. Информация о людях рядом с вами и о ваших друзьях При нажатии клавиши Люди открывается окно «Люди» с четырьмя вкладками: Вкладка РЯДОМ открывает список всех присутствующих в радиусе 100 м от вас. Вкладка МОИ ДРУЗЬЯ открывает список ваших друзей, причем первыми показаны лица, присутствующие в режиме онлайн. Вкладка МОИ ГРУППЫ предоставляет информацию о группах Second Life, которые являются своего рода клубами. Подробнее см. в статье Обзор групп . Вкладка ПОСЛЕДНИЕ открывает список ваших собеседников по текстовым сообщениям или по групповому чату за последнее время. На всех этих вкладках затенены имена людей, не присутствующие в режиме онлайн. При наведении мыши на имя пользователя появляются дополнительные опции: Щелкните значок для получения подробной информации о пользователе; затем выберите команду Просмотреть полный профиль для получения дополнительной информации. На мини-карте вкладки РЯДОМ с высоты птичьего полета показана область, в которой вы находитесь. Ваше местоположение отмечено желтой точкой, а зелеными точками обозначены другие люди. Изображение можно приблизить или удалить, вращая колесико мыши. Щелчок правой мыши на карте открывает меню с дополнительными опциями. Работа с профилями Чтобы изменить свой профиль, нажмите клавишу Я > Профиль. В профиле вы можете раскрыть свои личные характеристики и поделиться своими интересами. Здесь, как и в социальных сетях, можно также обмениваться с друзьями информацией. Ваш профиль Second Life можно связать с вашими аккаунтами в Facebook, Twitter, LinkedIn и в других популярных социальных сетях. Чтобы посмотреть чей-нибудь профиль, наведите мышь на аватар вашего собеседника, щелкните значок и выберите команду Просмотреть полный профиль. Вам будет доступна только информация, разрешенная владельцем профиля для просмотра. Задать эти настройки для вашего профиля можно следующим образом: Нажмите клавишу Я >Профиль Для изменения настроек своего профиля нажмите клавишу Изменить профиль . Откройте вкладку Личное . Совет: Хотите добавить снимок к профилю? Вначале вам необходимо сохранить снимок на своем компьютере или загрузить уже имеющийся снимок. Добавление снимка к профилю – великолепный способ представить свой аватар в выгодном свете. (Помните, что снимки к профилю должны иметь критерий «Для общего доступа!) Далее После приобретения и совершенствования основных навыков, приведённых в этой статье, вы будете готовы к освоению большого разнообразия возможностей, предоставляемых в Second Life. Воспользуйтесь Руководством пользователя Second Life. И самое главное - получайте удовольствие! In altre lingue Prima di cominciare Registrazione e installazione di Second Life Primi passi nel mondo virtuale Nozioni di base Trovare cose interessanti da vedere e da fare Impara altre cose Proseguiamo... Prima di cominciare Importante: Per apprezzare il ricco contenuto in 3D in Second Life devi installare un programma indipendente, il Viewer di Second Life. La procedura di installazione è rapida e semplice, ma il computer deve soddisfare i Requisiti di sistema. Second Life non funziona su computer che non soddisfino tali requisiti. Registrazione e installazione di Second Life Per installare e registrarti su Second Life, segui i quattro semplici passaggi di questa procedura. 1. Scegli il tuo avatar iniziale e fornisci le informazioni dell’account Il tuo avatar riflette il tuo aspetto su Second Life. Puoi scegliere da un’ampia selezione di avatar, e se in seguito cambi idea, non ti preoccupare: puoi selezionare un altro avatar quando vuoi. Dopo aver imparato a usare Second Life potrai personalizzare in maniera dettagliata il tuo avatar, oppure scegliere uno dei molti avatar disponibili nel Mercato Second Life. Il tuo nome utente è il nome dell'account che utilizzi per accedere a Second Life. Deve essere univoco, per cui non potrai scegliere un nome semplice o comune. Oltre al tuo nome utente, in seguito potrai selezionare un nome pubblico che vedranno tutti gli altri. Per maggiori informazioni, vedi Nomi utente e Nomi pubblici. Avviso: Seleziona il tuo nome utente con cura! Una volta scelto non potrai più cambiarlo. Anche se puoi scegliere un “nome pubblico", il tuo nome utente sarà comunque visibile e gli altri potrebbero usarlo per fare riferimento a te. Completa con gli ultimi dettagli dell'account, tra cui il tuo indirizzo e-mail, la data di nascita e la password. Assicurati di utilizzare una domanda di sicurezza facile da ricordare nel caso in cui ti dimenticassi la password! Nota: Quando crei un account, ricevi un’e-mail per verificare che l’indirizzo sia corretto. Verifica l’indirizzo per ricevere messaggi offline da altri residenti Second Life. 2. Scegli il tipo di abbonamento Seleziona un account gratuito Basic oppure un account Premium, che costa solo $6 al mese. Con un account Premium puoi avere la tua Casa Linden privata (se hai almeno 18 anni), compensi in valuta virtuale, beni virtuali esclusivi e molti altri vantaggi. Per maggiori informazioni sugli account Premium, consulta Abbonamenti Premium nella sezione Conoscenze di base di Second Life. Se ora scegli un account Basic, puoi sempre passare a un account Premium in seguito. 3. Scarica e installa Second Life Per godere appieno del ricco contenuto in 3D di Second Life, devi scaricare e installare il Viewer di Second Life, un programma che può essere eseguito in ambiente Windows, Mac OS e Linux. La maggior parte dei browser Web scaricano automaticamente il programma di installazione; in caso contrario basta cliccare su Scarica e installa Second Life. Potrebbe essere necessario avviare manualmente il programma di installazione dopo averlo scaricato. Primi passi nel mondo virtuale Ora che hai completato la registrazione su Second Life e scaricato il Viewer, puoi iniziare la tua avventura nel mondo virtuale. Accedere Avvia il Viewer di Second Life, quindi esegui l'accesso a Second Life inserendo il nome utente e la password che hai selezionato durante la registrazione. Se hai problemi ad accedere, consulta la pagina Accesso non riuscito nella sezione Conoscenze di base di Second Life. La prima volta che completi l'accesso, ti troverai in un'area chiamata Learning Island, creata appositamente per i nuovi utenti. Segui i cartelli e le semplici istruzioni per imparare le nozioni di base necessarie. Nelle sezioni seguenti troverai una descrizione delle parti più importanti del Viewer e di come puoi ottenere il massimo dalla tua esperienza. Per aiutarti a iniziare, ti presentiamo una breve introduzione al Viewer di Second Life, il programma che userai per partecipare a Second Life. Nozioni di base Ecco alcune cose che ti sarà utile saper fare all'inizio: Camminare Volare Cambiare il punto di vista Utilizzare le chat di testo Cambiare l'avatar Interagire con gli oggetti Trovare informazioni sulle persone nelle vicinanze Controllare gli elementi multimediali nel mondo virtuale Camminare Puoi far camminare il tuo avatar in quattro modi: Clicca per camminare. Clicca semplicemente sul punto a terra verso il quale vuoi andare. Se il puntatore del mouse assume la forma di una mano invece che di una freccia, potrai interagire con un oggetto invece di muoverti. Visualizza la sezione Interagire con gli oggetti. Usa i tasti freccia. Usa i tasti su ↑ e giù ↓ per camminare rispettivamente in avanti e all'indietro. Usa i tasti sinistra ← e destra → per girare rispettivamente a sinistra e a destra. Utilizza i tasti W, S, A e D. I tasti W e S ti permettono di camminare avanti e indietro. Usa i tasti A e D per girare a sinistra e a destra.Verifica di aver fatto prima clic sul mondo virtuale in modo tale che non sia selezionata la casella della chat. Altrimenti invece di camminare digiteresti del testo nella chat. Fai clic sul pulsante Cammina/Corri/Vola per aprire i Comandi di movimento. Puoi fare clic sulla direzione nella quale desideri che il tuo avatar si muova, scegliendo se farlo camminare, correre o volare. Correre Per correre in avanti, fai doppio clic sul tasto W o sulla freccia su ↑ . Per correre all'indietro, fai doppio clic sul tasto S o sulla freccia giù ↓. Volare Volare su Second Life è molto divertente, e ti permette di spostarti molto più velocemente di quando cammini o corri. Per volare, mantieni premuto il tasto Pagina su o il tasto E. Mantieni premuto il tasto Pagina giù o il tasto C per atterrare. Per spostarti in aria, usa gli stessi tasti che usi per camminare. Nota: In alcune regioni non è permesso volare. In tali regioni troverai quest'icona nella barra del luogo e non potrai volare. Scorciatoie da tastiera Per una semplice guida di riferimento, vedi Scorciatoie da tastiera. Cambiare il punto di vista Per impostazione predefinita, il tuo punto di vista è centrato direttamente dietro e leggermente sopra il tuo avatar. Ma a volte può essere utile vedere le cose da un altro punto di vista! Puoi cambiare la visuale in vari modi: Clicca e trascina dovunque nel mondo per ruotare la visuale. NOTA: se il puntatore del mouse è a forma di mano prima di cliccare, invece di ruotare il punto di vista interagisci con l'oggetto. Per zoomare in avanti, mantieni premuto il tasto Alt, quindi clicca e trascina con il mouse; oppure usa la rotellina del mouse. Per orbitare, mantieni premuti i tasti Alt e Control, quindi clicca e trascina con il mouse. Fai clic sul pulsante Visuale e usa i comandi mostrati a sinistra. Per tornare alla visualizzazione predefinita, premi il tasto Esc. Utilizzare le chat di testo . Clicca sul pulsante Chat (che per opzione predefinita si trova nella barra degli strumenti in basso) per chattare con persone vicine. Tutte le persone nel raggio di venti metri da te potranno vedere cosa digiti. Per gridare, premi Ctrl-Invio invece di Invio dopo aver digitato il testo della chat. Tutte le persone nel raggio di 100 metri da te potranno vedere cosa digiti. Fai clic sul triangolo nel campo chat per visualizzare la cronologia recente della chat. Posiziona il mouse sopra i nomi nella cronologia della chat e quindi fai clic sull'icona per altre opzioni. Cambiare l'avatar Fai clic sul pulsante Avatar per cambiare il tuo avatar e scegliere uno di quelli disponibili gratuitamente. Puoi scegliere tra avatar di diverso tipo. Per informazioni su come personalizzare il tuo avatar, vedi Modificare il proprio aspetto fisico. Interagire con gli oggetti Per interagire con qualsiasi oggetto che incontri, fai clic destro e seleziona un'azione o uno strumento dal menu, come mostrato nell'esempio qui sopra. Quando posizioni il mouse su alcuni oggetti (ad esempio i mobili) è disponibile automaticamente l'opzione "Siediti qui". Basta cliccare sull'oggetto per sedersi. Per alzarti nuovamente basta cliccare il pulsante Alzati visualizzato in basso nella finestra. Se il cursore del mouse prende la forma di una mano quando lo posizioni su un oggetto, puoi interagire con l'oggetto cliccando su di esso. In alcuni casi, facendo clic si esegue un’attività (ad esempio ruotare un interruttore per accendere una lampada); a volte l'oggetto visualizza un menu speciale che permette di selezionare una delle varie azioni disponibili. Quando posizioni il cursore del mouse su un oggetto, potresti anche vedere una casella contenente informazioni, come nell'esempio a sinistra. Clicca sull'icona per visualizzare altre opzioni. Avere informazioni sulle persone nelle vicinanze Per avere informazioni su una persona nelle vicinanze, posiziona il mouse sul suo avatar e clicca l'icona che viene visualizzata. Vedrai una casella contenente informazioni, tra cui: Il nome del suo avatar e da quanto è iscritto a Second Life. Le informazioni della "biografia" del profilo (se presenti). La regolazione del volume della chat per la persona specifica. Un collegamento Visualizza il profilo intero per visualizzare altre opzioni e informazioni. Vedi la sezione Uso dei profili. Controllare gli elementi multimediali nel mondo virtuale In molte zone di Second Life viene riprodotta della musica per creare un'atmosfera, oppure viene visualizzato un video nel mondo virtuale. Usa i comandi in alto a destra nella finestra del Viewer per regolare il volume dell'audio oppure per spegnerlo del tutto deselezionando la casella a destra, se preferisci. Il pulsante Pausa a sinistra del pulsante principale di regolazione del volume, ti permette di far iniziare o bloccare lo streaming di video o contenuti multimediali. Puoi passare il mouse sopra a qualunque contenuto multimediale in streaming nel mondo virtuale per visualizzare ulteriori comandi. Per visualizzare i comandi speciali per gli elementi multimediali, posiziona il mouse su qualsiasi superficie nel mondo virtuale sulla quale si stiano visualizzando video o altri contenuti multimediali. Trovare cose interessanti da vedere e da fare Clicca su Destinazioni per visualizzare la guida alle destinazioni di Second Life. Clicca su una categoria, quindi clicca su una destinazione per teletrasportarti immediatamente. Visita http://secondlife.com/destinations/ per vedere altre categorie e destinazioni. Fare di più Dopo aver imparato a camminare, volare e svolgere altre funzioni di base, potresti provare a: Usare la chat vocale Incontrare nuovi amici Vedere persone e amici nelle vicinanze Usare i profili Usare la chat vocale Digitare ti stanca?Usa la chat vocale per parlare con le persone nelle vicinanze. Avrai bisogno di usare delle cuffie, oppure degli altoparlanti e un microfono.Usando le cuffie eviti il fastidioso effetto eco creato dalla tua voce. In generale è meglio se i dispositivi audio sono collegati prima di avviare Second Life. Dopo aver collegato le cuffie (oppure altoparlanti e microfono) potrebbe essere necessario configurare i dispositivi audio. Per farlo, seleziona Io > Preferenze > Audio e media. Potrai selezionare i dispositivi di ingresso e uscita e modificare le impostazioni del volume. Dopo aver configurato i dispositivi audio, clicca semplicemente su Parla per parlare alle persone nelle vicinanze. Clicca il pulsante di nuovo per spegnere il microfono. Se non riesci a far funzionare la chat vocale, consulta le Domande frequenti sulla chat vocale. Nota: In alcune regioni la chat vocale è disabilitata.In quelle regioni il pulsante Parla sarà disattivato e non potrai usare la chat vocale. Punti voce Puoi vedere se le funzioni voce sono attive e funzionanti perché viene visualizzato un piccolo punto bianco sopra l'etichetta con il tuo nome, come mostrato in basso. Il punto sarà visibile anche su altre persone che hanno attivato la voce. Fare amicizia Per fare nuovi amici, passa il mouse sopra il loro avatar, fai clic su e seleziona Visualizza profilo intero. Poi fai clic sul pulsante Aggiungi amico.Questa persona riceverà una richiesta di amicizia: se accetta, verrà aggiunta al tuo elenco di amici e tu verrai aggiunto al suo. Come accettare o rifiutare una richiesta di amicizia Quando un'altra persona ti invia una richiesta di amicizia, appare una finestra di dialogo sullo schermo in basso a destra. Se fai clic su Accetta, il tuo nuovo amico riceve una notifica sullo schermo che indica che hai accettato la richiesta. Se fai clic su Rifiuta per non accettare la richiesta, l'altra persona riceve una notifica che indica che hai rifiutato la richiesta. Suggerimento: Prima di chiedere a qualcuno di essere amici, avvia una conversazione o un'interazione, è buona educazione! Incontrare persone nelle vicinanze e amici Fai clic sul pulsante Persone per aprire la finestra Persone, che include quattro schede: NELLE VICINANZE mostra tutte le persone che si trovano entro 100 m. I MIEI AMICI mostra il tuo elenco di amici, in alto quelli online. I MIEI GRUPPI mostra le informazioni sui tuoi gruppi in Second Life, che sono come dei club. Per maggiori informazioni, vedi Informazioni generali sui gruppi. RECENTE mostra tutte le persone con cui hai comunicato tramite IM o chat di gruppo di recente. In tutte queste schede, se una persona non è online, il nome appare offuscato. Posiziona il mouse sul nome di una persona per visualizzare ulteriori opzioni: Clicca per visualizzare ulteriori informazioni sulla persona; quindi fai clic su Visualizza profilo intero per ulteriori opzioni. La mini mappa nella scheda NELLE VICINANZE mostra una vista panoramica dell'area in cui ti trovi; il punto giallo mostra la tua posizione e i punti verdi rappresentano le altre persone. Per visualizzare ulteriori opzioni usa la rotellina del mouse o fai clic destro sulla mappa. Usare i profili Clicca su Io > Profilo per modificare il tuo profilo.Il tuo profilo ti permette di mostrare la tua personalità e i tuoi interessi. Puoi anche condividere elementi con i tuoi amici e vedere cosa condividono con te, in maniera simile alle reti sociali. Puoi collegare il tuo profilo di Second Life con i tuoi account su Facebook, Twitter, LinkedIn e altre note reti sociali. Per vedere il profilo di un'altra persona, posiziona il mouse sul suo avatar e clicca su Visualizza profilo intero. Verranno mostrati gli elementi che ti ha autorizzato a vedere in base alle sue impostazioni di privacy. Per configurare le tue impostazioni della privacy: Fai clic su Io > Profilo Fai clic su Modifica profilo per personalizzare le impostazioni del tuo profilo. Fai clic sulla scheda Privacy. Suggerimento: vuoi aggiungere una foto profilo? Prima di tutto dovrai scattare e salvare una foto sul tuo PC, o caricare una foto già esistente. Aggiungere una foto profilo è un ottimo modo per mettere in risalto il tuo avatar. (Ricorda, la foto profilo non deve essere vietata ai minori!) Proseguiamo... Quando avrai imparato le nozioni di base incluse in questo articolo, potrai scoprire tutto quello che l'esperienza in Second Life ha da offrire. Dai un'occhiata alla Guida all'uso di Second Life. Ma soprattutto, divertiti! Dans d'autres langues Avant de commencer Inscription à Second Life et installation du client Premiers pas dans Second Life Compétences de base Rechercher des endroits et des activités intéressants Autres fonctions utiles Informations supplémentaires Avant de commencer Important : Pour pouvoir profiter du contenu en 3D fascinant de Second Life, vous devez installer un programme autonome, la visionneuse Second Life. Bien que l'installation de ce programme soit rapide et facile, votre ordinateur doit répondre aux exigences du système. Second Life ne peut être exécuté sur les systèmes ne présentant pas ces caractéristiques. Inscription et installation de Second Life Suivez ce processus rapide à trois étapes pour vous inscrire à Second Life et installer le client. 1. Veuillez fournir les informations de votre compte Votre avatar montre comment vous apparaîtrez dans Second Life. Si vous sélectionnez un large choix d'avatars, et si vous changez d'avis ultérieurement, ne vous inquiétez pas - vous pouvez sélectionner un autre avatar à tout moment ! Une fois que vous serez plus familiarisé avec Second Life, vous pourrez également personnaliser votre avatar selon vos goûts ou faire votre choix parmi une vaste sélection sur la Place du marché Second Life. Votre nom d'utilisateur est le nom du compte que vous utilisez pour vous connecter à Second Life. Il doit être unique. Vous ne pourrez donc probablement pas choisir de nom simple ou courant. Par la suite, vous pourrez choisir un nom d'affichage que tout le monde pourra voir en plus de votre nom d'utilisateur. Pour plus d'informations, consultez les pages consacrées aux Noms d'utilisateur et aux noms d'affichage. Avertissement : Choisissez votre nom d'utilisateur avec soin ! Une fois que vous aurez choisi un nom d'utilisateur, vous ne pourrez plus en changer. Bien que vous puissiez opter pour un « nom d'affichage », votre nom d'utilisateur restera visible et les autres résidents pourront l'utiliser pour faire référence à votre avatar. Veuillez compléter les autres données de votre compte, y compris votre adresse électronique, votre date de naissance et votre mot de passe. Assurez-vous d'utiliser une question de sécurité que vous devez retenir au cas où vous oubliez votre mot de passe ! Remarque : Lorsque vous créez votre compte, vous recevrez un message électronique vous demandant de vérifier votre adresse électronique. Vérifiez votre adresse afin de recevoir les messages hors ligne des autres résidents de S. 2. Sélectionnez votre niveau d'abonnement Vous avez le choix entre un compte basique gratuit ou un compte Premium à partir de seulement 6 $ par mois. L'abonnement au compte Premium vous permet de disposer de votre propre Résidence Linden (si vous avez au moins 18 ans), de primes en devise virtuelle, de biens virtuels exclusifs et de nombreux autres avantages. Pour plus d'informations sur les comptes Premium, veuillez consulter l'article sur l'Abonnement Premium dans la Base de connaissances de Second Life. Si vous optez pour un compte basique maintenant, il vous sera toujours possible de passer à un abonnement Premium par la suite. 3. Téléchargez et installez Second Life. Pour pouvoir profiter du contenu riche en 3D de Second Life, vous devez télécharger et installer la visionneuse Second Life, une application que vous pouvez exécuter sous Windows et Mac OS. La plupart des navigateurs Web téléchargent automatiquement le programme d'installation. Si cela ne se produit pas, cliquez sur le lien suivant : Télécharger et installer Second Life. Il vous faudra peut-être exécuter le programme d'installation vous-même. Premiers pas dans Second Life ! Une fois que vous vous êtes inscrit à Second Life et que vous avez installé la visionneuse Second Life, vous êtes prêt à vivre l'aventure extraordinaire de ce monde virtuel. Connexion Démarrez la Visionneuse Second Life et connectez-vous à Second Life en saisissant le nom d'utilisateur et le mot de passe que vous avez sélectionnés lors de l'inscription. En cas de problèmes de connexion, consultez l'article sur les Échecs de connexion disponible dans la Base de connaissances de Second Life. Lorsque vous vous connectez pour la première fois, vous apparaissez dans une zone spécialement mise à disposition des nouveaux résidents appelée l'Ile des connaissances. Suivez panneaux et les instructions simples fournies pour apprendre les compétences de base dont vous aurez besoin. Les sections suivantes présentent les points les plus importants de la Visionneuse et vous permettront d'optimiser votre expérience dans Second Life. Pour vous aider, voici une présentation rapide de la Visionneuse Second Life, le programme que vous utilisez pour vous familiariser à Second Life. Compétences de base L'apprentissage des actions suivantes vous sera utile pour commencer : Marcher Voler Changer d'angle de vue Utiliser le chat écrit Modifier votre avatar Interagir avec des objets En savoir plus sur les résidents près de vous Contrôler les médias du monde virtuel Marcher Quatre opérations sont possibles pour faire marcher votre avatar : Cliquez pour marcher. Cliquez tout simplement sur le sol, là où vous souhaitez aller. Lorsque le pointeur de la souris se transforme en main au lieu d'une flèche, votre avatar ne se déplacera pas mais interagit avec l'objet situé sous le pointeur de la souris. Voir la section Interagir avec des objets. Utilisez les touches fléchées. La touche Flèche vers le haut ↑ et la touche Flèche vers le bas ↑ vous permettent d'avancer et de reculer, respectivement. La touche Flèche à gauche ↑ et la touche Flèche à droite ↑ vous permettent de tourner à gauche et à droite, respectivement. Utilisez les touches W, S, A, et D. Les touches W et S vous permettent d'avancer et de reculer. Les touches A et D vous permettent de tourner à gauche et à droite, respectivement. Veillez à cliquer d'abord dans le monde virtuel afin que le champ de chat ne soit pas actif. Sinon, au lieu de marcher, vous saisirez du texte dans le chat écrit. Cliquez le bouton Marcher/Courir/Voler pour ouvrir les contrôles du Mouvement. Vous pouvez cliquer sur la direction dans laquelle vous souhaitez que votre avatar se déplace, et basculer entre les modes « marche », « courir » et « voler ». Courir Pour avancer en courant, cliquez deux fois rapidement sur la touche W ou Flèche vers le haut ↑ . Pour reculer en courant, cliquez deux fois rapidement sur la touche S ou Flèche vers le bas ↑. Voler Voler est un mode de déplacement vraiment agréable dans Second Life et permet d'accéder à des endroits bien plus rapidement que de marcher ou de courir. Pour voler, appuyez sur la touche Page préc. ou E. Pour atterrir, appuyez sur la touche Page suiv. ou C et maintenez-la enfoncée. Pour vous déplacer en vol, utilisez les mêmes touches que pour la marche. Remarque : Il est interdit de voler dans certaines régions. Lorsque cela est le cas, l'icône s'affiche dans la barre d'emplacement et vous ne pouvez pas voler. Raccourcis clavier Pour consulter le guide de référence rapide, voir Raccourcis clavier. Changer d'angle de vue Par défaut, la caméra est placée juste derrière votre avatar, légèrement au-dessus. Toutefois, il peut être utile de voir les choses d'un autre angle ! Vous pouvez changer d'angle de vue de plusieurs façons : Rotation : cliquez sur un point dans le monde et faites glisser votre souris. REMARQUE : si le pointeur de la souris se transforme en main avant que vous ne cliquiez, vous interagirez avec l'objet au lieu de faire tourner la caméra. Zoom avant : cliquez sur un point dans le monde et faites glisser votre souris tout en maintenant la touche Alt enfoncée. Orbite : cliquez et enfoncez les touches Alt et Contrôle, puis cliquer en faisant glisser la souris. Cliquez sur le bouton Affichage et utilisez les contrôles indiqués sur la gauche. Pour revenir à la vue par défaut, appuyez sur la touche Échap. Utiliser le chat écrit . Pour chatter par écrit avec les résidents près de vous, cliquez sur le bouton Chat (dans la barre d'outils du bas, par défaut). Tous les résidents situés dans un rayon de vingt mètres pourront voir le texte que vous tapez. Pour crier, appuyez sur Ctrl-Entrée au lieu d'appuyer sur Entrée une fois le texte saisi. Tous les résidents situés dans un rayon de cent mètres pourront voir le texte que vous tapez. Pour afficher l'historique récent du chat, cliquez sur l'icône en forme de triangle du champ de chat. Placez le pointeur de la souris sur les noms de l'historique du chat et cliquez sur l'icône pour plus d'options. Modifier votre avatar Vous pouvez changer votre avatar en l'un des avatars gratuits proposés en cliquant sur Avatar . Toute une variété d'avatars sont mis à votre disposition. Pour plus d'informations sur la personnalisation des avatars, consultez l'article consacré à la Modification de votre apparence. Interagir avec des objets Pour interagir avec un objet que vous rencontrez, cliquez-droit dessus et sélectionnez une option dans le menu des actions et des outils, comme indiqué ci-dessus. Pour certains objets (tels que des meubles), une icône « M'asseoir » est automatiquement fournie lorsque vous placez le pointeur de la souris dessus. Pour vous asseoir sur l'objet, cliquez dessus. Pour vous lever, cliquez sur le bouton Me lever affiché vers le bas de la fenêtre. Si le pointeur de la souris se transforme en main lorsqu'il se trouve sur un objet, il se peut que vous puissiez interagir avec l'objet en cliquant dessus. Dans certains cas, le fait de cliquer permet d'effectuer une action (par exemple, allumer une lampe). Un menu spécifique à l'objet s'affiche également parfois afin que vous puissiez sélectionner une action parmi celles proposées. Lorsque vous placez le pointeur de la souris sur un objet, il se peut également que des informations s'affichent, comme indiqué à gauche. Pour accéder à des options supplémentaires, cliquez sur l'icône En savoir plus sur les résidents près de vous Pour obtenir plus d'informations sur les résidents près de vous, placez le pointeur de votre souris sur leurs avatars et cliquez sur l'icône qui apparaît. Une fenêtre contenant les informations suivantes s'affiche alors : Le nom de l'avatar et la durée sa présence dans Second Life. Informations issues de la « biographie » du profil (si fournie). Contrôle du volume de chat vocal pour ce résident uniquement. Un lien Voir le profil complet pour plus d'options et d'informations. Voir la section Utiliser les profils. Contrôler les médias du monde virtuel Les musiques d'ambiance ou vidéos projetées sur des surfaces sont fréquentes dans Second Life. Pour régler le volume audio ou le couper, utilisez les contrôles disponibles en haut à droite de la fenêtre du client. Le bouton Pause à gauche du bouton de contrôle du volume vous permet de démarrer ou d'arrêter les vidéos ou les médias. Vous pouvez faire glisser la souris sur tout média en cours dans le monde virtuel pour obtenir davantage de contrôles. Pour afficher des contrôles de médias spécifiques, placez le pointeur de la souris sur n'importe quelle surface du monde virtuel affichant une vidéo ou tout autre média. Rechercher des endroits et des activités intéressants Pour afficher le Guide des destinations de Second Life, cliquez sur Destinations. Pour vous téléporter immédiatement vers l'un de ces endroits, cliquez sur une catégorie, puis sur la destination souhaitée. Allez à http://secondlife.com/destinations/ pour voir plus de catégories et de destinations. Autres fonctions utiles Une fois que vous savez marcher, voler et effectuer d'autres actions basiques dans Second Life, vous pouvez passer à l'apprentissage des fonctions suivantes : Utiliser le chat vocal Devenir amis Voir les résidents près de vous et vos amis Utiliser les profils Utiliser le chat vocal Fatigué de taper du texte ? Parlez aux résidents qui se trouvent près de vous à l'aide du chat vocal. Vous devrez avoir un casque ou des haut-parleurs et d'un micro. Utilisez un casque pour éviter d'entendre l'écho de votre propre voix. D'une manière générale, il est préférable de brancher vos périphériques audio avant de démarrer Second Life. Une fois votre casque (ou vos haut-parleurs et micro) connecté, il se peut que vous deviez configurer les paramètres du son. Pour cela, sélectionnez Moi > Préférences > Son et Médias. Vous pourrez sélectionner les périphériques d'entrée et de sortie appropriés et modifier les paramètres du volume. Une fois vos périphériques audio configurés, cliquez sur Parler pour discuter avec les résidents près de vous. Pour désactiver votre micro, cliquez à nouveau sur ce bouton. En cas de problème pour faire marcher le chat vocal, consultez l'article de FAQ sur le chat vocal. Remarque : Le chat vocal est désactivé dans certaines régions. Dans ces régions, le bouton Parler est estompé et vous ne pouvez pas utiliser le chat vocal. Points de chat vocal Pour déterminer si la voix est activée et fonctionne correctement, regardez si un petit point blanc apparaît au-dessus de votre nom, comme indiqué ci-dessous. Si un point s'affiche également pour les autres résidents, cela signifie qu'ils ont activé le chat vocal. Devenir amis Pour demander à un résident d'être votre ami, placez le pointeur de la souris sur son avatar, cliquez sur et choisissez Voir le profil complet, puis cliquer sur le bouton Ajouter un ami . Cette personne recevra une demande d'ajout d'un ami: si elle l'accepte, elle est ajoutée à votre liste d'amis et vous êtes ajouté à la sienne. Comment accepter ou refuser une demande d'amitié Lorsqu'un autre résident vous demande s'il peut devenir votre ami, une boîte de dialogue s'affiche dans le coin inférieur droit de l'écran. Si vous cliquez sur Accepter, votre nouvel ami reçoit une notification à l'écran indiquant que vous acceptez de devenir son ami. Si vous cliquez sur Refuser pour décliner l'offre, l'autre personne reçoit alors une notification à l’écran indiquant que vous avez refusé de devenir son ami. Conseil : Pour des raisons de politesse, engagez la conversation avec une personne ou interagissez avec elle avant de lui demander de devenir votre amie. Voir les résidents près de vous et vos amis Cliquez sur le bouton Personnes pour ouvrir la fenêtre du même nom, constituée de quatre onglets : L'onglet PRÈS DE VOUS affiche toutes les personnes qui se trouvent dans un rayon de 100 m. L'onglet MES AMIS affiche votre liste d'amis, ceux connectés en premier. L'onglet MES GROUPES affiche des informations sur vos groupes (semblables à des clubs) dans Second Life. Pour plus d'informations, consultez la page de Présentation des groupes. L'onglet RÉCENT affiche les résidents avec qui vous avez communiqué récemment par message instantané ou chat de groupe. Lorsqu'une personne de ces onglets n'est pas connectée, son nom est estompé. Pour accéder à des options supplémentaires au sujet d'une personne, placez le pointeur de la souris sur son nom : Cliquez sur pour obtenir plus d'informations sur le résident, puis cliquez sur Afficher le profil complet pour des actions supplémentaires. La mini-carte de l'onglet PRÈS DE VOUS offre une vue globale de la zone dans laquelle vous vous trouvez. Le point jaune indique votre emplacement et les points verts représentent les autres résidents. Vous pouvez effectuer un zoom avant ou arrière sur la carte à l'aide de la molette de la souris ou cliquer-droit sur la carte pour plus d'options. Utilisez les profils Cliquez sur Moi > Profil pour modifier votre profil. Votre profil vous permet d'exprimer votre personnalité et d'indiquer vos centres d'intérêt. Vous pouvez également partager des choses avec vos amis et voir celles qu'ils partagent avec vous, à la manière d'un site de réseau social. Vous pouvez connecter votre profil Second Life à vos comptes Facebook, Twitter, LinkedIn ou d'autres réseaux sociaux connus. Pour afficher le profil d'un autre résident, placez le pointeur de la souris sur son avatar, cliquez sur , puis cliquez sur Voir le Profil complet. Vous pouvez alors voir ce qu'il vous autorise à voir en fonction de ses paramètres de confidentialité. Pour configurer vos paramètres de confidentialité : Cliquez sur Moi > Profil Cliquez sur Modifier le profil pour personnaliser votre paramètres. Cliquez sur l'onglet Confidentialité . Conseil : Voulez-vous ajouter une photo à votre profil ? Vous devez préalablement enregistrer une photo sur votre ordinateur ou vous pouvez télécharger une photo existante. Le fait d'ajouter une photo à votre profil est un bon moyen de montrer votre avatar. (N'oubliez pas que les photos de votre profil doivent avoir des caractéristiques générales de maturité !) Informations supplémentaires Une fois que vous maîtrisez les compétences de base décrites dans cet article, vous êtes prêt à profiter de toute la richesse offerte par Second Life. Consulter le Guide de l'utilisateur de Second Life. Et surtout, amusez-vous ! En otros idiomas Antes de empezar Registro e instalación de Second Life Tus primeros pasos en el mundo virtual Habilidades básicas Búsqueda de cosas interesantes para ver y hacer Otras cosas que puedes hacer Y por fin... Antes de empezar Importante: Para poder disfrutar de la gran variedad de contenidos 3D que te ofrece Second Life, debes instalar un programa independiente, el Visor de Second Life. La instalación es rápida y fácil, pero tu equipo debe cumplir los Requisitos del sistema. Second Life solo funcionará en tu equipo si cumple estos requisitos. Registro e instalación de Second Life Sigue este procedimiento en tres rápidos pasos para instalar Second Life y registrarte. 1. Elige tu avatar de inicio e indica la información de tu cuenta Tu avatar es cómo aparecerás en Second Life. Puedes elegir de una amplia selección de avatars, si después cambias de parecer, no te preocupes, ¡puedes elegir otro avatar cuando lo desees! Cuando aprendas a usar Second Life también podrás personalizar tu avatar totalmente a tu gusto o seleccionarlo entre la gran variedad de posibilidades que te ofrece el Mercado de Second Life. Tu nombre de usuario es el nombre de la cuenta que utilizas para iniciar sesión en Second Life. Tiene que ser un nombre único, de manera que procura elegir un nombre que no sea común ni demasiado sencillo. Después puedes elegir un nombre mostrado, que estará visible para todos los demás usuarios, además de tu nombre de usuario. Si deseas obtener más información, consulta Nombres de usuario y Nombres mostrados. Atención: Elige tu nombre de usuario con cuidado. Una vez elegido, no podrás cambiarlo. Aunque también puedes elegir un "nombre mostrado", tu nombre de usuario seguirá estando visible, y los demás podrán mencionarte con ese nombre. Completa los detalles de tu cuenta, incluyendo tu dirección email, fecha de nacimiento y contraseña. Asegúrate de utilizar una pregunta de seguridad que recuerdes en caso que olvides tu contraseña. Nota: Cuando crees tu cuenta, recibirás un mensaje en tu email pidiéndote que verifiques tu dirección email. Verifica tu dirección para recibir mensajes fuera de línea de otros Residentes Second Life. 2. Elige tu nivel de membresía Puedes elegir una cuenta básica gratuita o bien crear una cuenta Premium por solo 6 dólares al mes. Una cuenta Premium te da derecho a tu propio Hogar-Linden privado (si tienes por lo menos 18 años), bonus en moneda virtual, exclusivos bienes virtuales y a muchas otras ventajas. Si deseas más información sobre las cuentas Premium, consulta Cuentas Premium en la base de conocimientos de Second Life. Aunque elijas ahora una cuenta básica, más adelante podrás cambiarla a una cuenta Premium. 3. Descarga e instala Second Life. Para poder disfrutar de la gran variedad de contenidos 3D que te ofrece Second Life, debes descargar e instalar el Visor de Second Life, una aplicación que se ejecuta en Windows y Mac OS. La mayoría de los navegadores web descargan el programa de instalación automáticamente pero, si no es así, sólo tienes que pulsar en Descargar e instalar Second Life. Es posible que tengas que ejecutar el programa de instalación manualmente luego de la descargar. Tus primeros pasos en el mundo virtual Cuando te hayas registrado en Second Life y, tras instalar el Visor de Second Life, estarás listo para lanzarte a la aventura en el mundo virtual. Iniciar una sesión Abre el Visor de Second Life y después inicia sesión en Second Life, escribiendo el nombre de usuario y la contraseña que seleccionaste al registrarte. Si tienes algún problema para iniciar sesión, consulta Problemas de inicio de sesión en la base de conocimientos de Second Life. La primera vez que inicies sesión, llegarás a un lugar conocido como Isla de aprendizaje, un lugar creado especialmente para los usuarios nuevos. Sigue los carteles y las sencillas instrucciones para aprender las habilidades básicas que necesitas. En las próximas secciones explicamos las partes más importantes del Visor y cómo conseguir tener una experiencia óptima. Para ayudarte a empezar, te daremos una explicación rápida del Visor de Second Life, el programa que utilizarás para moverte en Second Life. Habilidades básicas Estas son algunas de las cosas que te interesa aprender en primer lugar: Caminar Volar Cambiar tu apariencia Chat de texto Cambiar tu avatar Interactuar con los objetos Buscar más información sobre las personas próximas Controlar los media del mundo virtual Caminar Puedes hacer caminar a tu avatar de cuatro maneras: Pulsa para caminar. Pulsa en el lugar al que desees ir. Si el puntero del ratón adopta la forma de una mano en lugar de una flecha, en vez de moverte podrás interactuar con el objeto debajo del puntero del ratón. Consulta la sección Interactuar con los objetos. Usa las flechas de cursor. Las flechas de cursor arriba ↑ y cursor abajo ↓ te hacen caminar hacia adelante y atrás, respectivamente. Las flechas de cursor izquierda ← y derecha → te hacen girar hacia la izquierda y la derecha, respectivamente. Usa las teclas W, S, A y D. Las teclas W y S te hacen caminar hacia adelante y atrás. Las teclas A y D sirven para girar a la izquierda y derecha, respectivamente. Para que no se active el campo de chat, asegúrate de pulsar primero en el mundo virtual. De lo contrario, en lugar de caminar escribirás texto de chat. Pulsa en Caminar/Correr/Volar para abrir el panel de control de movimientos. Puedes pulsar en la dirección hacia la cual deseas que tu avatar se desplace, y puedes también intercambiar entre los modos caminar, correr y volar. Correr Para correr hacia adelante, pulsa dos veces en la W o la flecha de cursor arriba ↑ . Para correr hacia atrás, pulsa dos veces en la S o la flecha de cursor abajo ↓ . Volar Volar en Second Life es muy entretenido y además te permite viajar con mucha más rapidez que caminando o corriendo. Para volar, mantén pulsada la tecla Re Pág o la tecla E. Mantén pulsada la tecla Av Pág o la tecla C para bajar. Para moverte en el aire, usa las mismas teclas que si estuvieras caminando. Nota: En algunas regiones no está permitido volar. Reconocerás estas regiones por este icono en la barra de ubicación , y porque no podrás volar. Atajos del teclado Puedes consultar una guía de referencia rápida en Atajos de teclado. Cambiar tu apariencia De forma predeterminada, tu cámara mira desde justo detrás y ligeramente por encima del avatar. No obstante, a veces puede convenirte ver las cosas desde otro punto de vista. Puedes cambiar la vista actual de varias formas diferentes: Para girar la vista, pulsa y arrastra el cursor a cualquier parte del mundo. NOTA: Si el puntero del ratón adopta la forma de una mano antes de pulsar, en lugar de girar la vista podrás interactuar con el objeto. Para acercar el zoom, mantén pulsada la tecla Alt y pulsa y arrastra el cursor o bien usa la rueda del ratón. Para orbitar, mantén pulsadas las teclas Alt y Control pulsa y arrastra el cursor. Pulsa el botón Visión y usa los controles que se muestran a la izquierda. Para volver a la vista predeterminada, pulsa la tecla Esc. Chat de texto . Pulsa el botón Chat (de forma predeterminada se encuentra en la barra de herramientas inferior) para comunicarte por chat de texto con las personas próximas. Podrán ver lo que escribas todos aquellos que se encuentren a veinte metros o menos de tu avatar. Para gritar, cuando termines de escribir el texto, pulsa Control-Enter en lugar de Enter . Podrán ver lo que has escrito todos aquellos que se encuentren a una distancia de 100 metros o menos. Pulsa en el icono de un triángulo invertido del campo de chat para mostrar el historial de chat reciente. Para ver más opciones, pasa el cursor del ratón sobre el historial de chat y pulsa en el icono . Cambiar tu avatar Pulsa en Avatar para cambiar tu avatar por uno de los avatares que te ofrecemos gratis. Puedes elegir entre una amplia selección de avatares de personas, animales, robots e incluso vehículos. Si deseas más información acerca de cómo personalizar tu avatar, consulta Modificar tu apariencia. Interactuar con objetos Para interactuar con los objetos con que te encuentres, pulsa con el botón derecho y selecciona una de las opciones del menú de acciones y herramientas, como se muestra en el ejemplo de arriba. Cuando pasas el cursor del ratón sobre algunos objetos (como los muebles), muestran automáticamente un icono de "sentarse" . Para sentarte en el objeto, pulsa el icono. Para volver a levantarte, pulsa el botón Levantarme de la parte inferior de la ventana. Si el cursor del ratón adopta la forma de una mano cuando lo pasas sobre un objeto, puedes interactuar con él pulsando en el objeto. En algunos casos, al pulsar en el objeto se realiza una acción (por ejemplo, encender una luz); otras veces, el objeto muestra un menú especial en el que puedes seleccionar varias acciones. Al pasar el cursor del ratón sobre un objeto también puede aparecer un cuadro de información, como el ilustrado a la izquierda. Pulsa en el icono para ver las opciones adicionales. Buscar más información sobre las personas próximas Si deseas más información sobre las personas próximas, pasa el cursor del ratón sobre su avatar y pulsa en el icono que aparece. Se abrirá un cuadro de información con: El nombre del avatar y cuánto tiempo ha estado en Second Life. Información "biográfica" del perfil (si la ha facilitado). Control del volumen del chat de voz, solamente para esa persona. Un link Ver perfil completo para ver más opciones e información. Consulta la sección Usar Perfiles. Controlar los media del mundo virtual En muchos lugares de Second Life ponen música para crear ambiente o proyectan vídeos sobre una superficie virtual. Con los mandos de la parte superior derecha de la ventana del Visor puedes controlar el volumen del audio o, si lo prefieres, apagar el sonido, desmarcando el casillero a la derecha. El botón Pausa a la derecha del botón de control del volumen principal te permite reproducir y detener videos o contenido multimedia. Puedes desplazar el cursor hacia cualquier contenido multimedia en el mundo virtual para ver más controles. Cuando veas un vídeo proyectado sobre una superficie, pasa el cursor del ratón para ver los controles de media especiales. Búsqueda de cosas interesantes para ver y hacer Pulsa en Destinos para ver la Guía de destinos de Second Life. Pulsa en una categoría y después en un destino de la categoría para teleportarte allí inmediatamente. Visita http://secondlife.com/destinations/ para ver más categorías y destinos. Otras cosas que puedes hacer Cuando ya sepas caminar, volar y usar otras funciones básicas, puedes intentar: Usar el chat de voz Hacer amigos Ver a los amigos y personas próximas Usar perfiles Usar el chat de voz ¿Estás cansado de escribir con el teclado? Usa el chat de voz para hablar con las personas que estén cerca de ti. Para ello necesitas unos auriculares o un micrófono y unos altavoces. Con los auriculares no escucharás el molesto eco de tu propia voz. En general, se recomienda conectar tus dispositivos audio antes de iniciar Second Life. Una vez conectados los auriculares (o el micrófono y los altavoces), puede que tengas que configurar los dispositivos de sonido. Para hacerlo, elige Yo > Preferencias > Sonido y Media Puedes seleccionar los dispositivos de entrada y salida, así como cambiar el ajuste de volumen. Una vez configurados los dispositivos de sonido, para hablar con las personas que estén cerca solo tienes que pulsar en Hablar. Pulsa otra vez para apagar el micrófono. Si tienes algún problema con el chat de voz, consulta P+F sobre el chat de voz. Nota: En algunas regiones no se puede utilizar el chat de voz. En estas regiones, el botón Hablar estará atenuado y no podrás usar el chat de voz. Puntos de voz Un punto blanco pequeño flotando encima de la etiqueta de tu nombre, como el que se muestra abajo, indica que la voz está activada y funciona correctamente. Todas las personas que han activado la voz tienen un punto de voz. Hacer amigos Para pedir a alguien que sea tu amigo, pasa el cursor del ratón sobre su avatar, pulsa en y elige Ver perfil completo, luego pulsa en el botón Añadir como amigo . Esta persona recibirá una solicitud de amistad. Si la acepta, se incluirá en tu lista de amigos y tú figurarás en la suya. Cómo aceptar o rechazar un ofrecimiento de amistad Si alguien quiere ser amigo tuyo, verás un cuadro de diálogo en la esquina inferior derecha de la pantalla. Si pulsas en Aceptar, tu nuevo amigo recibirá un aviso en pantalla para notificarle que has aceptado la petición de amistad. Si pulsas en Rechazar para cancelar la invitación, la otra persona recibirá un aviso en pantalla para notificarle que no has aceptado el ofrecimiento de amistad. Consejo: Antes de pedir a otra persona que sea amiga tuya, entabla una conversación con ella, ¡es cuestión de buenos modales! Ver a los amigos y personas próximas Pulsa el botón Gente para abrir la ventana del mismo nombre, que tiene cuatro pestañas: CERCANA muestra a todas las personas que se encuentran a 100 metros o menos de ti. MIS AMIGOS muestra tu lista de amigos, encabezada por aquellos que actualmente están conectados. MIS GRUPOS muestra información de tus grupos de Second Life, que son como los clubs. Puedes consultar más información en Resumen general de los grupos . RECIENTE muestra a todas las personas con las que te has comunicado recientemente por mensajería instantánea o por chat de grupo. En todas estas pestañas, los nombres de las personas que no están conectadas aparecen atenuados. Al pasar el cursor del ratón sobre el nombre de una persona aparecen más opciones: Pulsa en para ver más información sobre la persona; a continuación, pulsa en Ver perfil completo para ver un menú con acciones adicionales. El minimapa de la pestaña CERCANA presenta una vista panorámica del lugar donde te encuentras; el punto amarillo señala tu ubicación actual, y los puntos verdes representan a otras personas. Acerca y aleja el zoom con la rueda del ratón o pulsa con el botón derecho en el mapa para ver más opciones. Usar perfiles Haz clic en Yo > PERFIL para editar tu perfil. Utiliza tu perfil para expresar tu personalidad y tus intereses. También puedes compartir cosas con tus amigos y ver lo que ellos comparten contigo, de una forma parecida a las redes sociales. Puedes enlazar tu perfil de Second Life con tus cuentas en Facebook, Twitter, LinkedIn, y otras redes sociales conocidas. Para ver el perfil de otra persona, pasa el cursor de ratón sobre su avatar, pulsa en y después en Ver perfil completo. Puedes ver las cosas que te permita su configuración de privacidad. Para configurar tu privacidad: Haz clic en Yo > Perfil Pulsa en Editar el perfil para personalizar la configuración de tu perfil. Pulsa la pestaña Privacidad . Consejo: ¿Deseas agregar una imagen de perfil? Primero deberás guardar una imagen instantánea en tu PC o puedes subir una que ya tengas. Agregar una imagen de perfil es una buena manera de exponer tu avatar. (Recuerda que las imágenes de perfil deben ser de contenido General). Y por fin... Cuando domines las habilidades básicas que hemos explicado en este artículo, estarás preparado para lanzarte a conocer la gran riqueza de experiencias que puedes obtener en Second Life. Consulta la Guía del usuario de Second Life. Y, lo más importante, ¡pásatelo bien! In anderen Sprachen Bevor Sie beginnen Für Second Life registrieren und Software installieren Erste Schritte inworld Grundfunktionen Coole Ziele und Aktivitäten suchen Fortgeschrittene Funktionen Weiterführende Informationen Bevor Sie beginnen Wichtig: Um die interaktiven 3D-Inhalte von Second Life nutzen zu können, müssen Sie ein eigenständiges Programm, den Second Life Viewer, installieren.Die Installation ist schnell und einfach, Ihr Computer muss jedoch die Systemanforderungen erfüllen. Second Life kann nicht auf Systemen ausgeführt werden, die diese Anforderungen nicht erfüllen. Für Second Life registrieren und Software installieren Führen Sie die folgenden drei Schritte durch, um sich für Second Life zu registrieren und die Software zu installieren. 1. Wählen Sie Ihren Avatar für den Start und geben Sie Ihre Kontoinformationen an Ihr Avatar entspricht Ihrem Erscheinungsbild in Second Life. Ihnen steht eine breite Palette an Avataren zur Auswahl, und wenn Sie es sich später anders überlegen, können Sie jederzeit einen anderen Avatar wählen. Wenn Sie mit Second Life vertraut sind, können Sie Ihren Avatar nach Ihren Wünschen anpassen oder aus der reichhaltigen Auswahl im Second Life-Marktplatz einen anderen aussuchen. Ihr Benutzername ist der Kontoname, mit dem Sie sich bei Second Life anmelden. Der Benutzername muss eindeutig sein, es ist also durchaus möglich, dass einfache oder gängige Namen bereits vergeben sind. Später können Sie auch einen Anzeigenamen auswählen, der zusätzlich zu Ihrem Benutzernamen erscheint. Weitere Informationen finden Sie unter Benutzernamen und Anzeigenamen. Warnung: Wählen Sie Ihren Benutzernamen sorgfältig! Er kann nicht nachträglich geändert werden. Obwohl Sie zusätzlich einen Anzeigenamen festlegen können, ist Ihr Benutzername weiterhin sichtbar und kann von anderen verwendet werden, um auf Sie Bezug zu nehmen. Geben Sie Ihre restlichen Kontodetails inklusive E-Mail-Adresse, Geburtsdatum und Passwort ein. Vergewissern Sie sich, dass Sie eine Sicherheitsfrage verwenden, die Sie sich gut merken können, falls Sie Ihr Passwort vergessen! Hinweis: Wenn Sie Ihr Konto erstellen, erhalten Sie eine Mitteilung per E-Mail, in der Sie gebeten werden, Ihre E-Mail-Adresse zu bestätigen. Verifizieren Sie Ihre E-Mail-Adresse, um Offline-Mitteilungen von anderen Second Life-Einwohnern zu erhalten. 2. Wählen Sie Ihre Mitgliedschaftsstufe Wählen Sie ein kostenloses Basis-Konto oder registrieren Sie sich für ein Premium-Konto (Monatsgebühren ab 6 US$). Premium-Mitglieder erhalten ein eigenes privates Linden Home (Sie müssen mindestens 18 Jahre alt sein), Prämien in virtueller Währung, exklusive virtuelle Waren und viele andere Vorteile.Weitere Informationen zum Premium-Konto finden Sie in der Second Life Knowledge Base unter Premium-Mitgliedschaft. Auch wenn Sie anfänglich ein Basis-Konto wählen, können Sie später jederzeit Premium-Mitglied werden. 3. Second Life herunterladen und installieren Um die umfangreichen 3D-Inhalte von Second Life nutzen zu können, müssen Sie den Second Life Viewer herunterladen und installieren. Diese Anwendung ist für Windows und Mac OS verfügbar. Die meisten Webbrowser laden das Installationsprogramm automatisch herunter; wenn nicht, klicken Sie einfach auf Second Life herunterladen und installieren. Möglicherweise müssen Sie das Installationsprogramm nach dem Herunterladen manuell starten. Erste Schritte inworld Nachdem Sie sich für Second Life registriert und den Second Life Viewer installiert haben, können Sie Ihr Abenteuer in der virtuellen Welt – oder „inworld“, wie wir sagen – beginnen. Anmelden Starten Sie den Second Life Viewer und melden Sie sich dann bei Second Life an, indem Sie Ihren Benutzernamen und das bei der Registrierung festgelegte Kennwort eingeben. Bei Problemen mit der Anmeldung lesen Sie bitte den Artikel Anmeldefehler in der Second Life Knowledge Base. Wenn Sie sich zum ersten Mal anmelden, gelangen Sie in einen Bereich namens Learning Island, der speziell für neue Benutzer gedacht ist. Befolgen Sie die Schilder und die einfachen Anweisungen, um sich mit den Grundfunktionen von Second Life vertraut zu machen. In den folgenden Abschnitten werden die wichtigsten Elemente des Viewers beschrieben und Sie erfahren, wie Sie ihn optimal nutzen können. Zunächst erhalten Sie einen Überblick über den Second Life Viewer, also das Programm, über das Sie auf Second Life zugreifen. Grundfunktionen Nachfolgend die wichtigsten Grundfunktionen, die Sie erlernen sollten: Gehen Fliegen Ansicht ändern Text-Chat Avatar ändern Mit Objekten interagieren Mehr über Leute in der Nähe erfahren Inworld-Medien steuern Gehen Es gibt drei Möglichkeiten, Ihren Avatar zum Gehen zu veranlassen: Zum Gehen klicken. Klicken Sie einfach an die Stelle auf dem Boden, zu der Sie gehen möchten. Wenn sich der Mauszeiger anstelle eines Pfeils in eine Hand verwandelt, interagieren Sie mit einem Objekt, statt sich zu bewegen. Siehe Abschnitt Mit Objekten interagieren. Pfeiltasten verwenden. Mit den Tasten Pfeil aufwärts ↑ und Pfeil abwärts ↓ bewegen Sie sich vorwärts bzw. rückwärts. Mit den Tasten Pfeil links ← und Pfeil rechts → drehen Sie sich nach links bzw. rechts. Verwendung der Tasten W, S, A, und D. Mit den Tasten W und S bewegen Sie sich vorwärts und rückwärts. Mit den Taste A und D drehen Sie sich nach links bzw. rechts. Klicken Sie vor Verwendung dieser Tasten zunächst auf eine Inworld-Stelle, damit sich der Fokus nicht im Chat-Feld befindet. Wenn sich der Fokus im Chat-Feld befindet, geben Sie einen Chat-Text ein, statt zu gehen. Klicken Sie auf die Schaltfläche Gehen/Laufen/Fliegen, um die Bewegungssteuerungen zu öffnen. Sie können klicken, um die Richtung auszuwählen, in die sich Ihr Avatar bewegen soll und darüber hinaus zwischen Gehen, Laufen und Fliegen umschalten. Laufen Um vorwärts zu laufen, drücken Sie zweimal hintereinander die Taste W oder Pfeil aufwärts ↑ . Um rückwärts zu laufen, drücken Sie zweimal hintereinander die Taste S oder Pfeil abwärts ↓. Fliegen In Second Life zu fliegen, macht Spaß und ermöglicht es Ihnen, sich erheblich schneller zu bewegen als durch Gehen oder Laufen. Halten Sie die Taste Bild auf oder E gedrückt, um zu fliegen.Halten Sie die Taste Bild ab oder C gedrückt, um zu landen. In der Luft können Sie die gleichen Tasten wie zum Gehen verwenden, um sich in verschiedene Richtungen zu bewegen. Hinweis: In manchen Regionen ist das Fliegen nicht möglich. In diesen Bereichen sehen Sie in der Standortleiste das Symbol und können nicht fliegen. Tastaturkürzel Eine Kurzanleitung finden Sie unter Tastaturkürzel. Ansicht ändern Standardmäßig betrachten Sie die Welt von einem Blickpunkt direkt hinter und etwas über Ihrem Avatar aus. In vielen Fällen ist es jedoch sinnvoll, die Perspektive zu wechseln! Es gibt mehrere verschiedene Methoden, die Ansicht zu ändern: Um Ihre Ansicht zu drehen, klicken und ziehen Sie an einer beliebigen Inworld-Stelle. HINWEIS: Wenn sich der Mauszeiger in eine Hand verwandelt, bevor Sie klicken, interagieren Sie mit dem Objekt, statt die Ansicht zu drehen. Zum Zoomen halten Sie die Alt-Taste gedrückt und klicken und ziehen Sie dann mit der Maus. Sie können auch das Mausrad verwenden. Um zu kreisen, halten Sie die Alt- und Strg-Taste gedrückt und klicken und ziehen Sie dann mit der Maus. Klicken Sie auf die Schaltfläche Ansicht und verwenden Sie die links abgebildeten Steuerungen. Um zur Standardansicht zurückzukehren, drücken Sie die Esc-Taste. Text-Chat . Klicken Sie auf die Schaltfläche „Chat“ (standardmäßig in der unteren Symbolleiste), um einen Text-Chat mit anderen Mitgliedern in der Nähe zu führen. Alle Mitglieder, die sich in einem Umkreis von 20 m aufhalten, können sehen, was Sie eingeben. Um Ihre Nachricht laut auszurufen, drücken Sie Strg-Eingabe statt Eingabe, nachdem Sie Ihren Chat-Text eingegeben haben. Alle Mitglieder in einem Umkreis von 100 m sehen dann, was Sie eingeben. Klicken Sie im Chat-Feld auf das Dreieckssymbol, um den Chatverlauf anzuzeigen. Bewegen Sie den Mauszeiger im Chatverlauf über einen Namen und klicken Sie auf das Symbol für weitere Optionen. Avatar ändern Klicken Sie auf Avatar , um Ihren Avatar in einen der kostenlos zur Verfügung stehenden Avatare zu ändern. Sie können aus einer breiten Palette kostenloser Avatare wählen. Weitere Informationen zum Anpassen Ihres Avatars finden Sie unter Bearbeiten des Aussehens. Mit Objekten interagieren Um mit Objekten, auf die Sie stoßen, zu interagieren, klicken Sie mit der rechten Maustaste auf ein Objekt und wählen Sie im Aktions- bzw. Werkzeugmenü die gewünschte Option aus, wie im obenstehenden Beispiel gezeigt. Bei manchen Objekten (wie z. B. bei Möbeln) erscheint automatisch ein Sitzsymbol, wenn Sie den Mauszeiger darüber bewegen. Klicken Sie einfach auf das Objekt, um sich darauf zu setzen. Um wieder aufzustehen, klicken Sie auf die Schaltfläche Stehen, die weiter unten im Fenster erscheint. Wenn sich der Mauszeiger über einem Objekt in eine Hand verwandelt, können Sie durch Anklicken mit dem Objekt interagieren. In manchen Fällen wird beim Anklicken eine Aktion durchgeführt (z. B. Lichtschalter einschalten), manchmal erscheint ein Sondermenü, in dem eine Reihe von Aktionen zur Auswahl steht. Wenn Sie den Mauszeiger über ein Objekt bewegen, sehen Sie möglicherweise auch ein Informationsfeld, wie im Beispiel links dargestellt. Klicken Sie auf das Symbol für weitere Optionen. Mehr über Leute in der Nähe erfahren Um mehr über Personen in der Nähe zu erfahren, bewegen Sie den Mauscursor über ihre Avatare und klicken Sie auf das erscheinende Symbol . Es erscheint ein Informationsfeld mit folgendem Inhalt: Avatarname dieser Person und Angabe, wie lange sie bereits Mitglied bei Second Life ist. Biografische Angaben (sofern von der Person hinzugefügt). Spezieller Lautstärkeregler für Voice-Chats mit dieser Person. Ein Link Vollständiges Profil anzeigen zur Anzeige weiterer Optionen und Informationen. Siehe Abschnitt Profile verwenden. Inworld-Medien steuern In vielen Bereichen in Second Life hören Sie Musik als Teil des Ambientes oder sehen Videos, die auf eine Inworld-Oberfläche projiziert werden. Mit den Steuerungen oben rechts im Viewer-Fenster können Sie die Lautstärke wie gewünscht einstellen oder den Ton vollständig abschalten, indem Sie das Kontrollfeld auf der rechten Seite deaktivieren. Mit der Schaltfläche Pause an der linken Seite der Schaltfläche für die Lautstärkeregelung können Sie das Streaming von Videos oder anderen Medien starten und anhalten. Bewegen Sie den Mauszeiger über ein beliebiges Streaming-Medium, das inworld wiedergegeben wird, um weitere Steuerungen einzublenden. Bewegen Sie den Mauszeiger über eine Fläche, auf der Videos oder andere Medien abgespielt werden, um spezielle Mediensteuerungen einzublenden. Coole Ziele und Aktivitäten suchen Klicken Sie auf Ziele, um zum Second Life-Reiseführer zu gelangen. Klicken Sie auf eine Kategorie und dann auf ein Ziel in dieser Kategorie, um sich sofort dorthin teleportieren zu lassen. Unter http://secondlife.com/destinations/ finden Sie weitere Kategorien und Ziele. Fortgeschrittene Funktionen Sobald Sie mit den Grundfunktionen wie Gehen und Fliegen vertraut sind, können Sie fortgeschrittene Funktionen ausprobieren: Voice-Chat verwenden Freundschaften schließen Personen und Freunde in der Nähe finden Profile verwenden Voice-Chat verwenden Keine Lust mehr zu tippen? Per Voice-Chat können Sie mit anderen Personen in der Nähe sprechen. Sie müssen zunächst Ihr Headset bzw. Ihre Lautsprecher und Ihr Mikrofon einrichten. Wir empfehlen die Verwendung eines Headsets (Sprechgarnitur), da hierbei keine störenden Echos Ihrer eigenen Stimme auftreten. Sie sollten Ihre Audiogeräte vor dem Start von Second Life anschließen. Nach dem Anschließen Ihres Headsets (bzw. Ihrer Lautsprecher und Ihres Mikrofons) müssen Sie ggf. Ihre Audiogeräte konfigurieren. Wählen Sie hierzu Ich > Einstellungen > Sound & Medien. Sie können Ihre Ein- und Ausgabegeräte auswählen und die Lautstärke ändern. Klicken Sie nach der Konfiguration Ihrer Audiogeräte einfach auf Sprechen, um mit Personen in der Nähe zu reden. Klicken Sie erneut auf Sprechen, um das Mikrofon auszuschalten. Wenn Sie Probleme mit dem Voice-Chat haben, lesen Sie den Artikel Häufig gestellte Fragen zum Voice-Chat. Hinweis: In manchen Regionen in der Voice-Chat deaktiviert. In diesen Bereichen ist die Schaltfläche Sprechen deaktiviert und Sie können sich nicht per Voice-Chat mit anderen Mitgliedern unterhalten. Voice-Punkte Wenn Voice aktiviert ist und ordnungsgemäß funktioniert, sehen Sie einen kleinen weißen Punkt über Ihrem Avatarnamen, wie nachstehend dargestellt. Wenn andere Mitglieder Voice aktiviert haben, verfügen auch sie über Voice-Punkte. Freundschaften schließen Um eine andere Person als Freund hinzuzufügen, bewegen Sie den Mauszeiger über ihren Avatar, klicken auf und wählen Komplettes Profil anzeigen. Klicken Sie anschließend auf die Schaltfläche Freund hinzufügen . Diese Person erhält ein Freundschaftsangebot: Wird es akzeptiert, erscheinen beide Mitglieder gegenseitig auf ihrer Freundesliste. Freundschafstangebot annehmen oder ablehnen Wenn Sie ein Freundschaftsangebot erhalten, wird in der unteren rechten Ecke des Bildschirms ein Dialogfeld angezeigt. Wenn Sie auf Akzeptieren klicken, wird Ihrem neuen Freund eine Benachrichtigung auf dem Bildschirm angezeigt, dass Sie das Freundschaftsangebot akzeptiert haben. Wenn Sie auf Ablehnen klicken, um das Angebot abzubrechen, erhält die andere Person eine Benachrichtigung, dass Sie das Freundschaftsangebot abgelehnt haben. Tipp: Bevor Sie jemandem ein Freundschaftsangebot senden, sollten Sie sich mit der Person unterhalten oder mit ihr interagieren – dies ist eine Frage der Höflichkeit! Personen und Freunde in der Nähe finden Klicken Sie auf die Schaltfläche Leute, um das Personenfenster zu öffnen, das vier Registerkarten aufweist: IN DER NÄHE: Hier erscheinen alle Mitglieder im Umkreis von 100 m. MEINE FREUNDE: Hier sehen Sie Ihre Freundesliste. Die Freunde, die gegenwärtig online sind, erscheinen oben in der Liste. MEINE GRUPPEN: Hier erscheinen Ihre Second Life-Gruppen. Weitere Informationen finden Sie unter Übersicht über Gruppen. AKTUELL: Hier erscheinen die Personen, mit denen Sie sich kürzlich über Instant Message oder Gruppen-Chat unterhalten haben. Wenn der Name einer Person in einer dieser Listen abgedunkelt erscheint, ist die Person gegenwärtig nicht online. Bewegen Sie den Mauszeiger über einen Namen, um zusätzliche Optionen einzublenden: Klicken Sie auf , um weitere Informationen über die Person anzuzeigen. Klicken Sie anschließend auf Komplettes Profil anzeigen für weitere Optionen. In der Minikarte der Registerkarte IN DER NÄHE sehen Sie den Bereich, in dem Sie sich gerade befinden, aus der Vogelperspektive. Der gelbe Punkt sind Sie, die grünen Punkte sind andere Personen. Mit dem Mausrad können Sie größer und kleiner zoomen oder klicken Sie mit der rechten Maustaste auf die Karte, um weitere Optionen einzublenden. Profile verwenden Klicken Sie auf Ich > Profil, um Ihr Profil zu bearbeiten. In Ihrem Profil können Sie Ihre persönliche Informationen und Interessen angeben. Ähnlich wie bei einem sozialen Netzwerk können Sie auch Nachrichten mit Ihren Freunden teilen und sehen, was diese mit Ihnen teilen. Sie können Ihr Second Life-Profil sogar mit Ihrem Konto bei Facebook, Twitter, LinkedIn und anderen beliebten sozialen Netzwerken verknüpfen. Um das Profil einer anderen Person zu sehen, bewegen Sie den Mauszeiger über ihren Avatar und klicken Sie auf Komplettes Profil anzeigen. Sie sehen die Informationen, die der andere Nutzer in seinen Datenschutzeinstellungen zugelassen hat. So konfigurieren Sie Ihre eigenen Datenschutzeinstellungen: Klicken Sie auf Ich > Profil Klicken Sie auf Profil bearbeiten, um Ihre Profileinstellungen anzupassen. Öffnen Sie die Registerkarte Datenschutz. Tipp: Möchten Sie ein Profilbild hinzufügen? Sie müssen zunächst ein Bild auf Ihrem PC erstellen oder ein bestehendes Bild hochladen. Das Hinzufügen eines Profilbilds ist eine gute Möglichkeit, Ihren Avatar darzustellen. (Bedenken Sie, dass Profilbilder eine allgemeine Alterseinstufung besitzen müssen!) Weiterführende Informationen Wenn Sie alle in diesem Artikel beschriebenen Grundfunktionen beherrschen, können Sie das vollständige Funktionsspektrum von Second Life erlernen. Werfen Sie einen Blick in das Second Life Benutzerhandbuch. Und vor allem, haben Sie viel Spaß! What are notifications? Some actions or events in Second Life can deliver information to you by displaying a notification. A notification is a brief message that appears in the Second Life window and then automatically disappears after several seconds. Some notifications, such as Linden dollar (L$) transaction notices, system messages, friend invitations, and group notices, are saved and may be viewed at any time by pressing the envelope button that appears at the top right corner of the Second Life window. The notifications window The Notifications window allows you to view your notification history. Open it by pressing the envelope button that appears when you receive a new notification. The notifications are sorted into four tabs: System - Displays general notifications, such as inventory transfers and friendship status changes. Transactions - Displays notifications that result from Linden dollar (L$) transactions. Invitations - Displays group invitations. Group - Displays notices from groups you are in. Remember that attachments to group notices still expire after a time. If these attachments are important to you, you should open them as soon as possible. Each notification in the list can be individually expanded or collapsed by clicking the arrow at the bottom right of the listing. You may also use the Collapse all button to collapse any expanded notifications. If a notification requires your input, you may click it in the Notifications window to interact with it. Once you resolve a notification in this way, it is dismissed from the list. You may delete notifications from the list by clicking the x button at the upper right of each listing. Alternatively, you may click the Delete all button to delete all notifications in the current tab. Setting your preferences Getting help Resetting graphics preferences Turning off particles The Avatar impostors feature Setting your preferences Choose Me > Preferences or Ctrl-P to set the preferences that control how the Second Life Viewer runs. The preferences window has the following tabs: General - language, maturity preferences, start location, away timeout. Graphics - quality and speed of graphics display; advanced settings. Sound & Media - volume controls, media auto-play, chat settings, input/output devices. Chat - text chat settings, automatic translation, Move & View - view angle and distance, mouselook settings, double-click preference. Notifications - control if and how you're notified when certain events happen. Colors - chat text colors, text opacity. Privacy - whether you appear in search results, who can see you're online, chat log location settings. Setup - cache location and size, web browser settings, whether updates are installed automatically. Advanced - UI text size, multiple Viewers, extra menus. Getting help To get detailed information on each of the fields in the preferences window, simply click the "?" button at the upper right corner of the window to display online help. Using multiple computers You can log in to your Second Life account from any computer. Since your account is stored on the Second Life servers, the Second Life Viewer will have access to your inventory, your friends, groups, your last location inworld, and so on. However, your preferences are stored separately on each system. That means that if you use Second Life on more than one computer, you must set your preferences on each computer. Resetting graphics preferences You can reset your graphics preferences to the way they were when you first installed Second Life by forcing the viewer to auto-detect your graphics hardware and adjust your graphics settings accordingly. To reset your graphics preferences to their original, default values: Choose Me > Preferences Click on the Graphics tab. Click Reset Click OK. Turning off particles Particles are often used for environmental enhancements like fire and smoke as well as laser light shows.To turn them off, choose Advanced > Rendering types > Particles to deselect display of particles. The Avatar impostors feature Avatar Impostors is a performance-improving feature that renders distant avatars more "cheaply" — instead of being drawn in full 3D as usual, impostors are two-dimensional, like cardboard cutouts. This means they look rougher around the edges and aren't affected as fluently by inworld effects like lighting, but it may be worth it for the Viewer FPS (Frames Per Second) you gain, making your overall Second Life experience smoother. This is especially noticeable in large crowds, so go to a popular club or hot event and compare before/after. Avatar Impostors is usually on by default. To toggle it on and off: Go to Me > Preferences > Graphics tab. Click the Advanced button at the bottom to show additional features. Under Avatar Rendering, enable or disable the Avatar impostors checkbox. The Avatars Physics slider (also found here) controls the relative distance at which avatars become impostors. Moving it to the right (High) means avatars become impostors at a further distance, which is preferable if you have a powerful computer. If Avatar Impostors is on, blocking a Resident render thems as a generic gray form: For more information, see Avatar Impostors tech details. Landmarks and teleporting Troubleshooting telporting SLurls How to use and make SLurls Converting a landmark to a SLurl (and vice-versa) Setting your home and login locations Home location Login location Landmarks and teleporting Landmarks Landmarks are similar to bookmarks or favorites in a web browser. They record a Second Life inworld location, so you can teleport back there whenever you want. To create a landmark for your current location, click the icon in the location bar at the top of the Viewer. Teleporting To teleport, double-click a landmark or a location on the World Map, or click a saved location in your favorites bar. Map - Chose World > World Map or World > Mini-Map. Using SLurls - Click on a SLurl to display the Place Profile, then click Teleport to teleport there. To offer to teleport a friend to your location: Click Click MY FRIENDS Mouse over your friend's name then click Click Teleport Your friend will see a message offering to teleport them to your location; they can accept or refuse the offer. Note: Your intended destination is marked with a red arrow. If you get a message that you can teleport no closer, simply put the landmark on your Map and fly the rest of the way. You can also use the Teleport buttons in Search listings to access locations. See Search FAQ for more information. If you don't arrive at your intended destination If you attempt to teleport somewhere, but don't arrive there, the estate owner may have set up a telehub (teleport hub) to control where visitors initially land. The telehub will be in the same region as your destination, but will generally provide new arrivals with orientation and other welcome information. Infohubs (also known as a Welcome Area) are mainland telehubs owned by Linden Lab and are shown on the world map. See World map and mini-map for more information. Troubleshooting teleporting Check maturity settings If the land you are trying to access has a maturity rating above that set in your own preferences, then you won't be able to go there. See Accessing Adult land and content for more information. To find the maturity rating of the land you are trying to access: Choose World > World map to view the World Map. Type the name of the region, then click Find. The World Map will show the region. Hover your cursor over the region on the map to see the maturity rating. Take off attachments An attachment you're wearing might be preventing you from teleporting successfully. Right-click your avatar. Select Take Off. Select Detach All. Try to teleport to your destination. Teleport to mainland Sometimes, it can help to try teleporting to your intended spot from a different destination. Click Map. Type in "Pooley". Click Search. Select Pooley from the list. Click Teleport. After you arrive at Pooley, try to teleport to your destination. Fly up, then teleport Your current location may be preventing you from teleporting successfully. Fly to an altitude of 200 meters. Try to teleport to your destination. Adjust firewall configuration If your firewall is blocking outbound TCP port 12043, then teleporting, viewing the World Map, crossing regions, and related activities won't work. See Using Second Life with a firewall for more information. Reduce maximum bandwidth Bandwidth settings might be responsible for an unsuccessful teleport. Select Me > Preferences. Click the Setup tab. Reduce the Maximum bandwidth setting to the minimum, "500" kbps. Now, try to teleport to your destination again. Exit Second Life and log in at your destination You can set your preferences so that you can choose your login location, and then enter your destination so you appear there when you log in again. To set your login location: Choose Me > Preferences. Click the General tab. Under Start location, choose Show on login. Click OK. Choose Me > Exit Second Life to log out. Then, start the Second Life Viewer again, and: In the login screen, under Start at, choose <Type region name>. Enter the name of the region where you want to go; for example, Pooley Click Log In. Now you will log in at the region you entered. Check for Network Lag If you are still having problems teleporting, your connection may be too slow. For more information, see How to improve Viewer performance - Troubleshooting tips. SLurls SLurls and landmarks serve the same purpose. The main difference is that a SLurl is simply a text link, while a landmark is an inventory item type which can only be used inside of SL. How to use and make SLurls To use an existing SLurl: Click this example SLurl. On the page it takes you to, click Visit this location to open it in Second Life. To make a new SLurl: Move your avatar to where you want to create the SLurl. Click the place name in the location bar (near the top of the Viewer window) to convert it to a SLurl. It'll look like http://maps.secondlife.com/secondlife/Here/128/128/44. Right-click and Copy the SLurl while it's selected, or use Ctrl+V. Paste the SLurl where you want it. Alternatively, you can also use the World Map to get SLurls: Select World menu > World Map. Click Copy SLurl. You can also enter another place on the map, then click Copy SLurl to get a remote SLurl. Converting a landmark to a SLurl (and vice-versa) To convert a landmark to a SLurl: Select Me > Places. Right-click a landmark and select Copy SLurl. Paste the Slurl where you want it. To convert a SLurl to a landmark: Click or otherwise use the SLurl to get to its location. Select World > Landmark This Place. The landmark is saved to your inventory. Setting your home and login locations Home location There are three types of land you can set as your home location: Land you own Land set to group access for a group to which you belong, if you have the necessary ability. For more information on group land, see Group-owned land. For more information on group roles and abilities, see Creating, managing, moderating, and disbanding groups. Infohubs, To set your home: Move your avatar to the chosen location. Use World > Set Home To Here. A message appears confirming if your home is set successfully. You can always teleport straight to your home location by using World > Teleport home. Login location By default, you will always login at your last location inworld. You can also set your login location to be your home and whether to display the option in the login screen. See Change your login location. Keyboard controls Onscreen controls Mouselook Avatar mouse steering Advanced camera controls This article explains how to control your point of view in the 3D Second Life world. Keyboard controls By using your keyboard and mouse to control the camera, you can view nearly any object or avatar from any angle or distance. Alt + Left mouse button: Press and hold to zoom your view in when you move the mouse up or down. Orbits your view around the focal point when you move the mouse left or right. Ctrl + Alt + Left mouse button: Press and hold to orbit your view around the focal point when you move the mouse in any direction. Ctrl + Alt + Shift + Left mouse button: Press and hold to pan your view parallel to the plane of your screen. Mouse scroll wheel: Zooms in or out. Escape key: Resets your view to its default location behind your avatar. Moving your avatar also resets your view. Onscreen controls Access onscreen camera controls by clicking the View button on the bottom bar of the Viewer. For additional information about these controls, click the ? button at the top of the window where they appear. Mouselook Mouselook sets the camera to a first-person perspective, allowing you to view the world through your avatar's eyes. You can enter mouselook by pressing the M key or by using your mouse's scroll wheel to zoom all the way in on your avatar. When in mouselook, your avatar turns to face the direction in which you are looking, which allows you to steer with your mouse while you walk or fly. Mouselook is also often used in order to aim or activate scripted objects. Tip: Should you ever find yourself navigating a tight space, entering mouselook can help you get your bearings. Avatar mouse steering You can orbit your view around your avatar by clicking anywhere on your avatar and holding the Left mouse button. As you turn your view left or right, your avatar turns to face the same direction as the camera, allowingyou to steer your avatar. Advanced camera controls There are two options in the Advanced menu that allow you to see objects or terrain at a considerable distance from where your avatar is standing: Disable Camera Constraints increases the distance you can zoom. Limit Select Distance allows you to right-click on faraway objects to find their owners. To enable these features: Select Me > Preferences > Advanced. Select the Show Advanced Menu checkbox. The Advanced menu now appears at the top of your Viewer window. From the Advanced dropdown, uncheck Limit Select Distance (this is on by default). In the same menu, choose Disable Camera Constraints. Click the Alt button, left-click your target, and zoom in using the scroll wheel. Right-click any object you see and select Edit > General to find its Creator and Owner. Moving your avatar Walking Running Jumping and ducking Flying Double-tap run Using vehicles Physical v. non-physical vehicles Where to use vehicles Scripting a vehicle Troubleshooting avatar movement In other languages: Deutsch Français Moving your avatar Walking Watch this video tutorial to get started, then read on for details: BASICS: Moving & flying from Torley on Vimeo. There are three ways to walk your avatar with the keyboard: Arrow keys W A S D keys - Inworld must have focus, meaning that the chat bar is closed or you've clicked inworld. Otherwise, these keys will type in the chat bar. Numeric keypad - Not all keyboards have this. You can also strafe — walk sideways without changing your camera focus — by holding Shift ? and the left and right movement keys. For example, Shift ?+←. Instead of turning, your avatar will walk in those directions. Running Running is done with the same keys as walking. Running is usually a toggle: press Ctrl+R and try moving around! Jumping and ducking Tap Page Up or E to jump. Hold Page Down or C to duck (squat). Tip: After jumping, hold down Space to slow your ascent dramatically. It looks almost as if you're frozen in mid-air. Flying Holding the same key to jump makes you fly. Tip: If that doesn't work, go to Me > Preferences > Move & View and enable Arrow keys always move me. You can also select Move > Fly from the toolbar at the bottom of the Viewer window. Note: In Second Life, there's no effective height limit to flying. Unaided, an avatar can reach approximately 200 vertical meters, but if you've got a flight assist script, you can continue to propel yourself upwards to millions, even billions of meters. See also Limits. Double-tap run If you don't want to always run, you can make your avatar walk or run with use of your arrow keys. Double-tap and hold the up arrow key to run forward. Tap and hold the up arrow key again to walk. This feature gives a more realistic appearance to avatar movement. To enable double-tap run: Open Me > Preferences to open the PREFERENCES window. Click the Move & View tab. Check the Tap-tap-hold to run checkbox. Using vehicles In Second Life, there are many kinds of vehicles, from realistic sports cars to fantastical spaceships. You can browse and buy from thousands of vehicles on the Marketplace. Vehicle operation varies widely; consult each vehicle's specific manual, or ask the creator for help. You can however operate most vehicles by right-clicking and selecting the appropriate option. Your avatar is seated in control of the vehicle, and the same directional keys used to control your avatar are now operating the vehicl, as shown in this video: Driving a vehicle from Torley on Vimeo. All capable vehicles are scripted; there is an amazing array of possibilities. Vehicles come in physical and non-physical varieties (although some can "switch" from one to another as-needed for specific purposes, like dampening the adverse effects of region crossings). Physical v. non-physical vehicles Physical vehicles behave according to Second Life's physical rules. For example, if you drive a car over a ledge, it may coast for awhile due to the momentum propelling it forward, but gravity acts upon it until it hits the ground. Physical vehicles must be 32 prims or fewer (see Limits). This prim economy makes vehicle-creators quite savvy and resourceful about how each prim is used in vehicle's overall construction. Non-physical vehicles can be 256 prims or fewer (see Limits), including the driver and passengers, each of which counts as a prim. Since non-physical vehicles are not affected by physics, their motion may appear stilted and stiff, although their visual appearance may be more detailed. This generally makes "non-phys" vehicles a better choice for floating UFOs and large warships which don't need to interact with collisions and other kinetic behaviors. The best way to understand is to learn, so try out various vehicles of each type. Where to use vehicles Your vehicle can go just about anywhere your avatar can go. To rez a vehicle, you need to find a buildable parcel of land (make sure that there is no icon in the menu bar that shows a prim with a slashed red circle on top of it). There are many public roads and waterways constructed by Linden Lab to enjoy traveling on. Some of these are marked as Protected Land (shown as the parcel name in the menu bar); others have been crafted by the Linden Department of Public Works. Scripting a vehicle If you are interested in learning how to script a vehicle yourself, the Linden Vehicle Tutorial is a good place to start. Troubleshooting avatar movement If your avatar begins moving erratically or uncontrollably: Try logging out of Second Life and restarting the program. If that doesn't work, try right-clicking on yourself and selecting Take Off > Detach All to remove your attachments. Then, try relogging. Scripted attachments have the ability to affect your avatar's movement, so always try to make sure you know what you are attaching to yourself! If you have dropped an object on the ground which is animating your avatar, follow these steps to stop the animation: Locate the rezzed object. Right-click on it and select Take. Locate the object in your inventory, right-click on it and select Wear. Detach the object. A simple wear-and-detach can often "reset" unexpected scripting problems in attachments. If that still doesn't work, try unplugging your modems and routers for a full minute, then plug them back in and log back into Second Life. If you get stuck in something (like a box or a cage): Look for the ground or an object in the open. Right-click on it and select Sit Here. It takes a few seconds, and you may hear some bumping noises, but your avatar should magically fly out of there soon enough. If that doesn't work, remember that you can always teleport somewhere else to escape! Please see the official Second Life System Requirements page. For additional information, see Graphics Cards.